NAMM2017 took place from January 19th to January 22nd and over 100,000 attendees from across the globe descended upon Anaheim, California for the biggest week in professional audio. 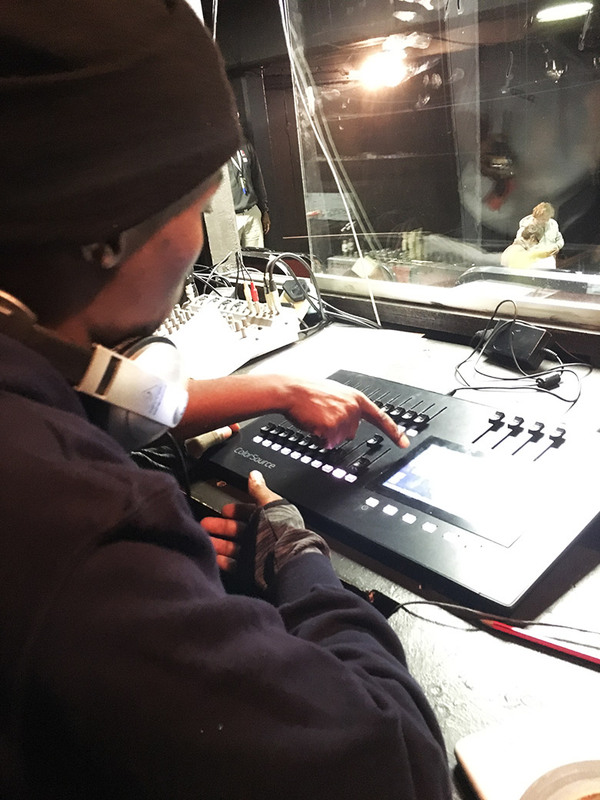 Audio-Technica’s full line of ATM350a Instrument Microphone Systems were on display, allowing visitors to get a first-hand look at how these mounting systems operate. 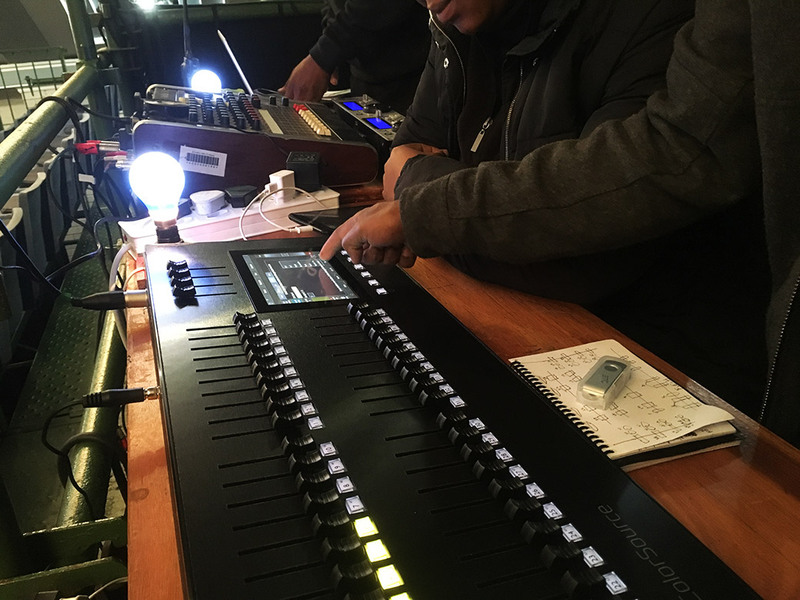 Built for life on the road, the ATM350a is available in six distinct systems providing mounting solutions for a host of instruments including: pianos, drums, woodwinds, percussion and more. Audio-Technica’s new studio headphone packs allow everyone in the studio unmatched audio quality only M-Series headphones can deliver. The ATH-PACK4 includes one ATH-M40x and three pairs of the ATH-M20x, whereas the ATH-PACK5 includes one ATH-M50x and four pairs of the ATH-M20x. The ATH-M40x and ATH-M50x are ideal for the engineer behind the mixing board, while the ATH-M20x headphones are perfect for the musicians in the recording booth. Studio Headphone Packs will be available in February 2017. 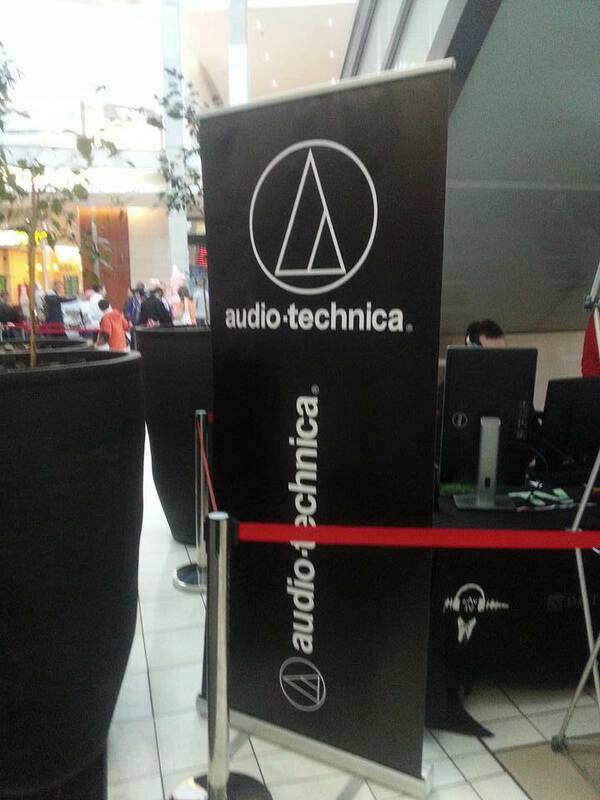 This post is originally from the Audio-Technica USA blog. 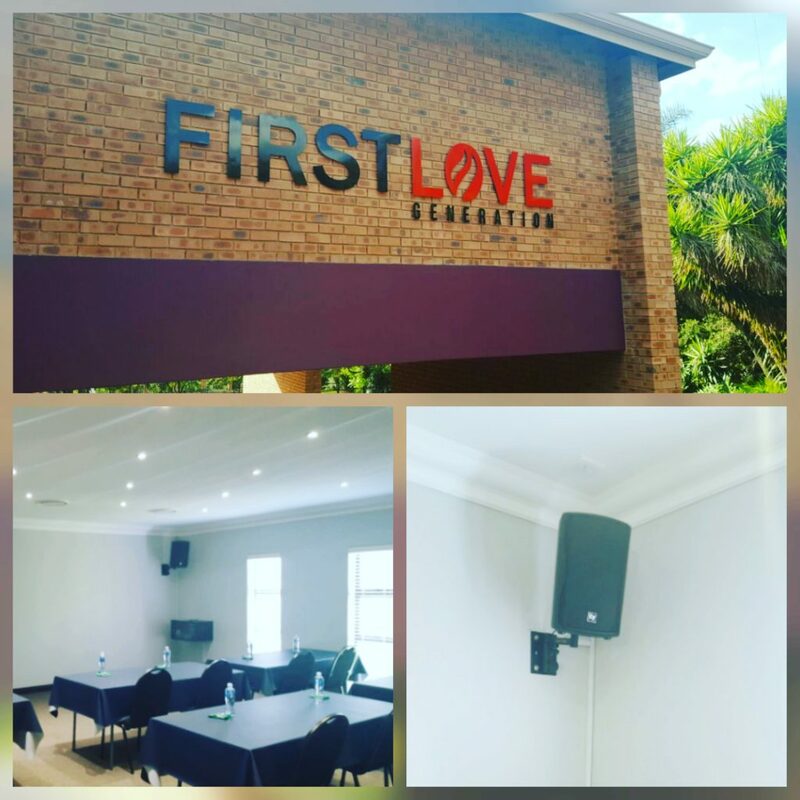 Victor Vermaak, Prosound’s church audio specialist, worked closely with First Love Generation in Ruimsig to design an audio system that would fulfill their requirements for their overflow/lecture room. In the end, he met and exceeded their expectations with an Electro-Voice solution incorporating Zxa1 powered speakers. 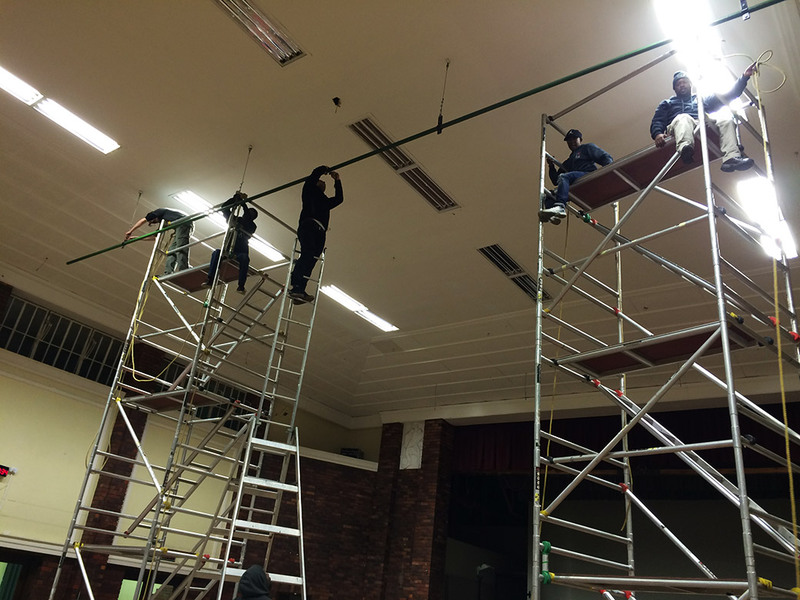 The system will serve to provide sound for video playback as well as audio from the main church. They went with the EV Zxa1’s to keep the same sonic character of the EV EKX used in their main church. 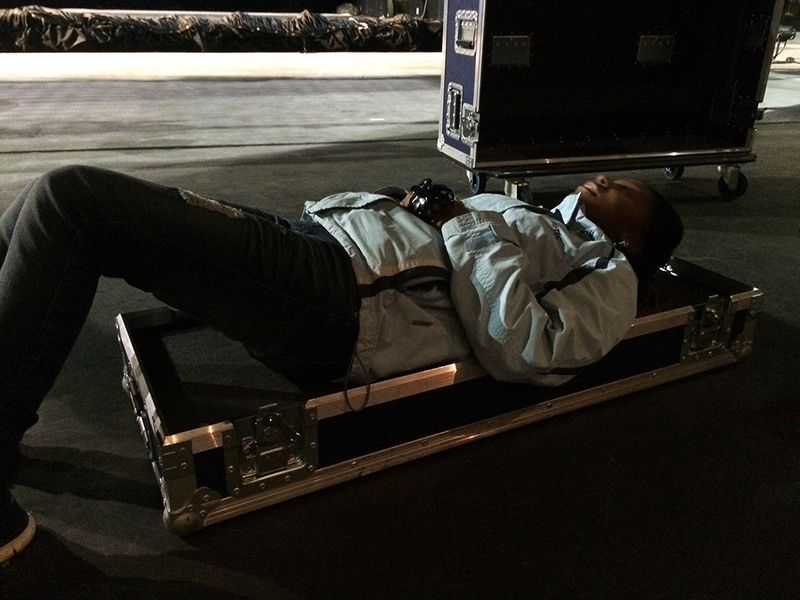 Other Prosound supplied equipment includes a Midas M32 console, Audio-Technica 3000 series wireless belt pack systems with DPA D-fine headset mics as well as Audio-Technica 3000 series handhelds. 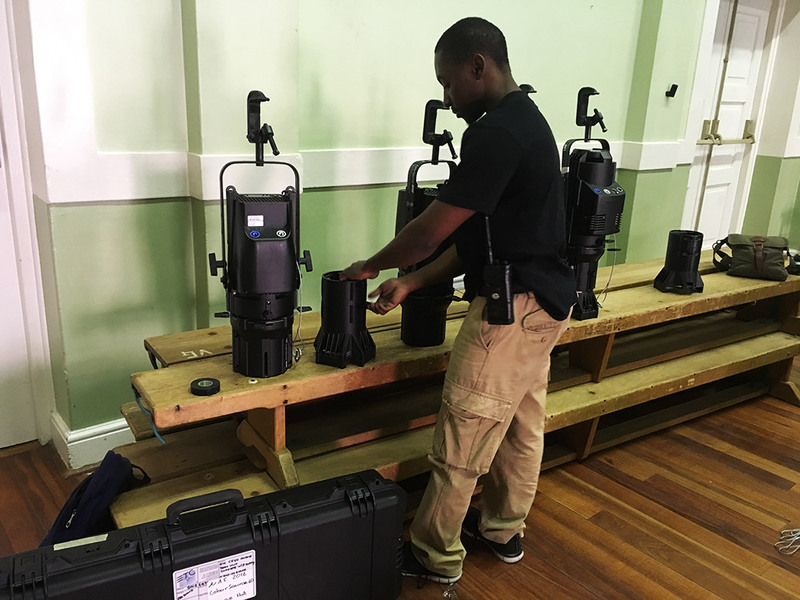 Lighting is a hands-on business, but the latest technology is often out of reach for students. 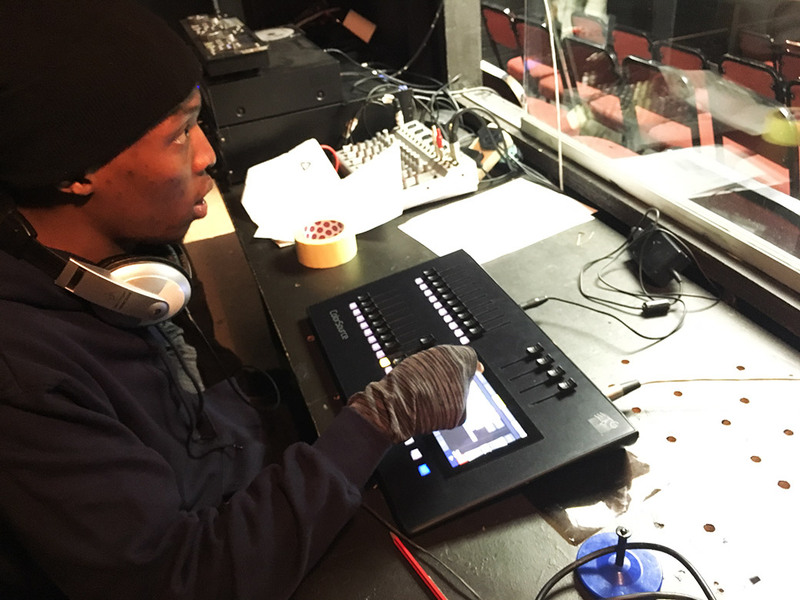 To address this issue, ETC is offering a special lighting controls package exclusively to students and educators. 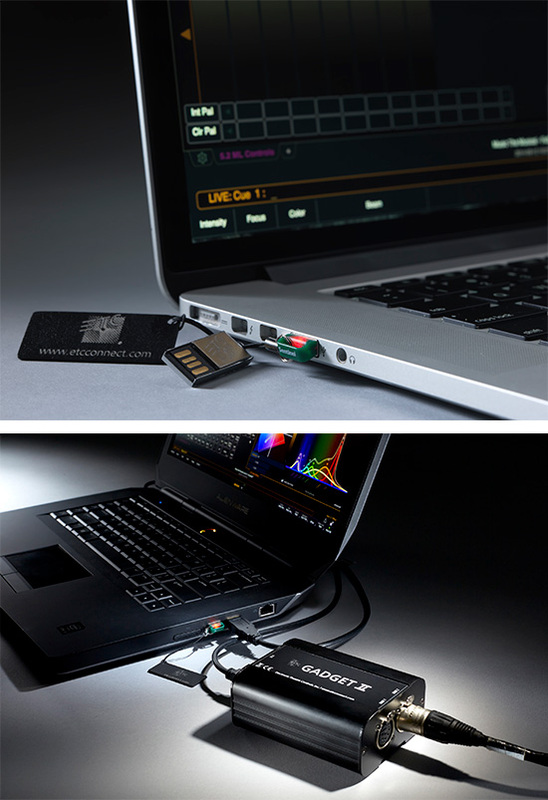 The ETCnomad Student Package, now available from ETC dealers, allows students and teachers to purchase a 512 ETCnomad software key and a Gadget II USB to DMX/RDM interface for the usual price of just the Gadget alone. 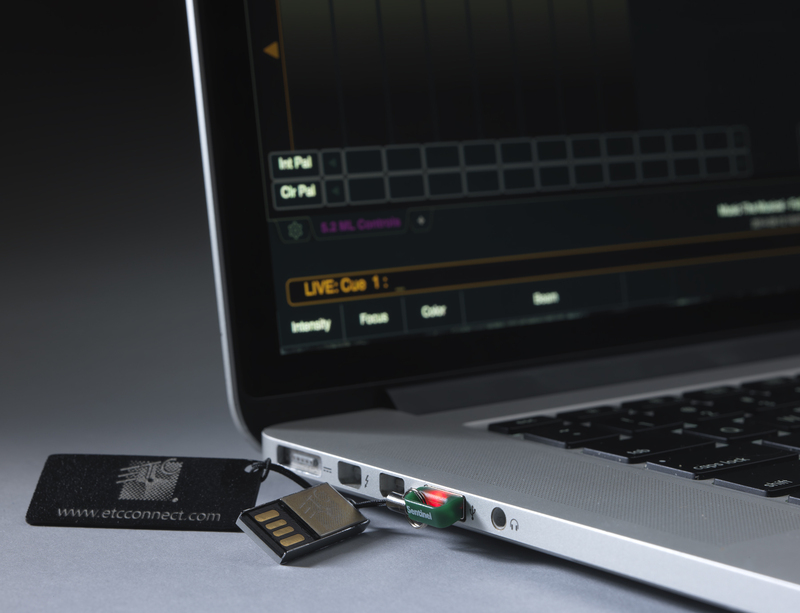 The software key unlocks fully-functioning, professional Eos® software for Mac or PC, while the Gadget allows a computer to output two universes of DMX to the rig. 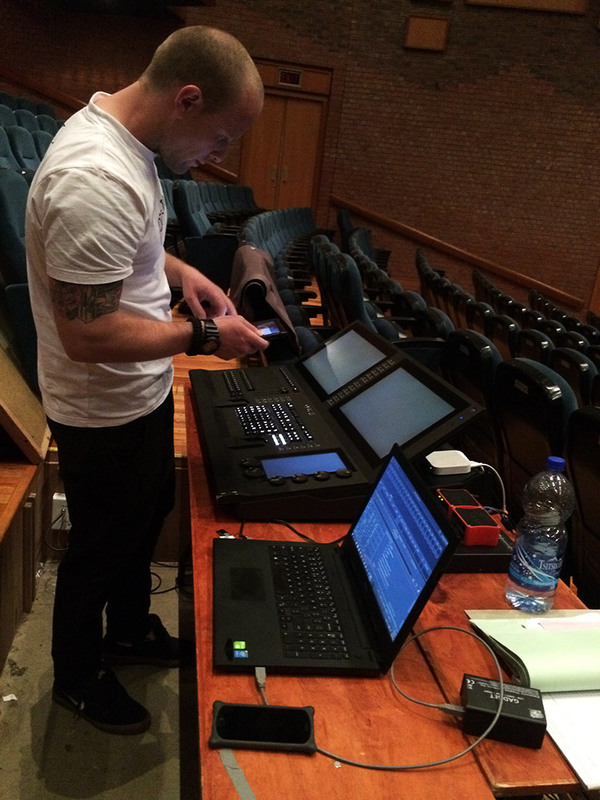 Armed with a laptop and these small-but-mighty devices, students can hone their skills, supplement the equipment at their schools, colleges, universities or local theatres, and go out into the world with their own, portable ETC lighting control system. This global offer extends to primary, secondary and university-level students and teaching staff and to individuals in apprenticeship or internship programs. 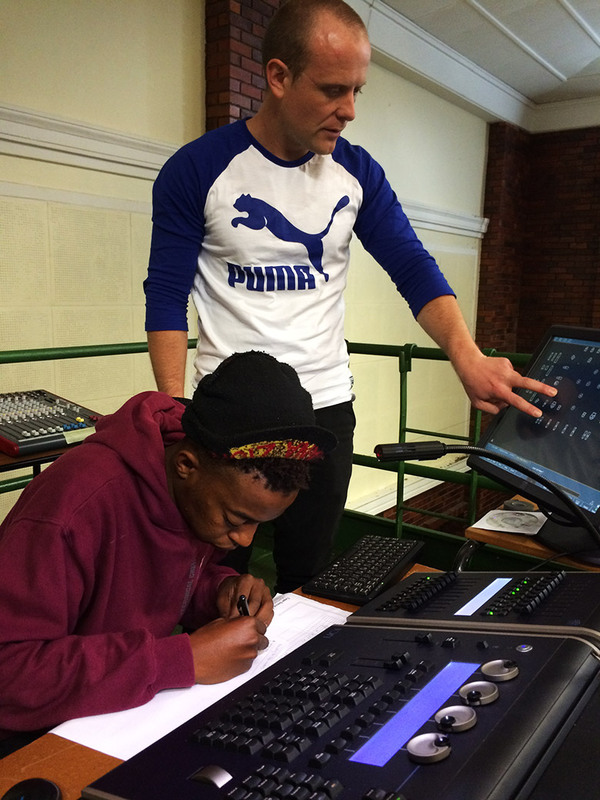 To qualify for the Student Package, students and educators must submit a completed application form and a copy of a student ID or other proof of current enrolment or employment to their local ETC dealer or distributor. The offer is open to students of all ages, though minors require a parent or guardian to sign off on the order form. 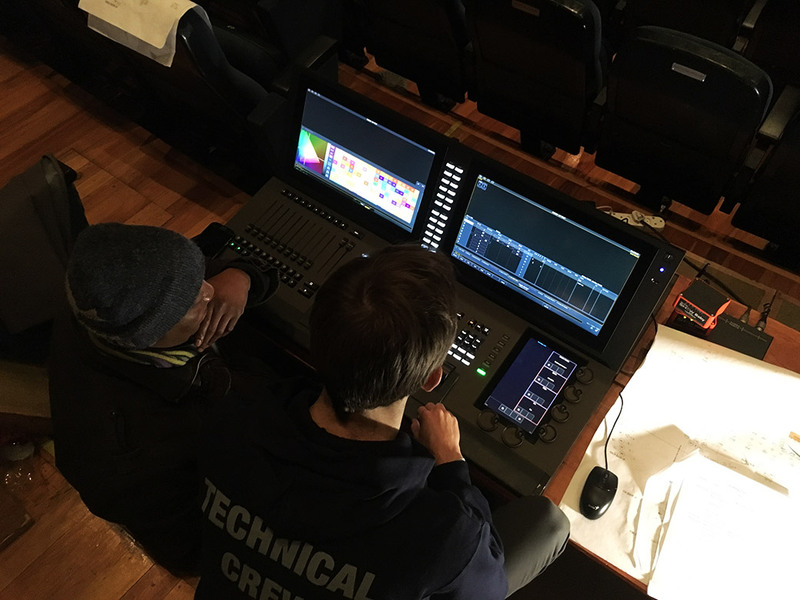 As part of the order process, students are encouraged to register for a free MyETC account, which grants access to an online dashboard of video classes, notification of local training events, end-user forums, and technical information about ETC products. Once purchased, the ETCnomad Student Package never expires. Students can continue to use the bundle – and expand the software – post-graduation as they establish their professional careers – with ETC’s technical community there to support them. The recently opened Karbala Olympic Stadium in Iraq is a 30,000-seat venue designed to host major sports, music, religious and youth events. Audio for the project was provided by Baghdad-based APCO Electronics, which provided acoustics design and participated in the actual installation as well. 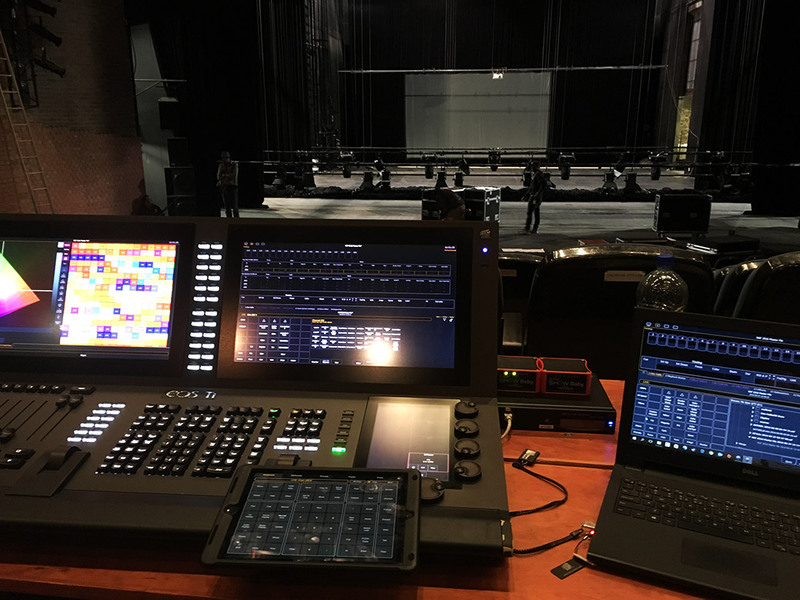 The company chose a sound system from Electro-Voice, creating a multi-zone digital audio system based around the IRIS-Net system control and supervising software and Electro-Voice EVH-1152 horn-loaded loudspeakers. The selected sound system stands for reliability, superior sound quality and scalability to future requirements. 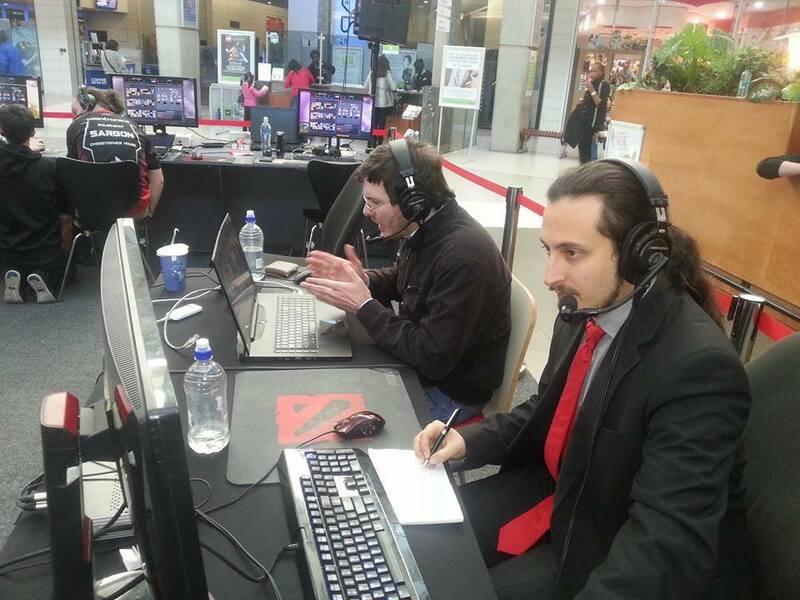 In addition, Electro-Voice amplifiers, microphones and wireless systems were also utilized. 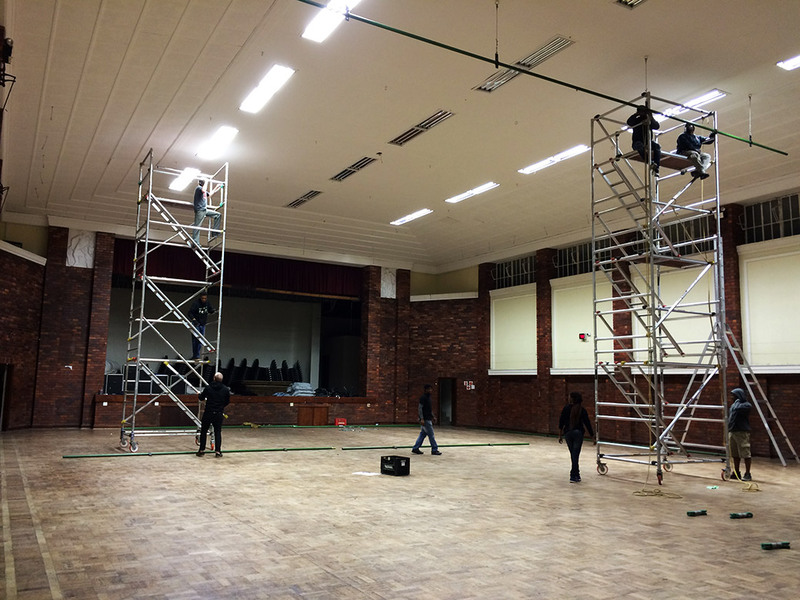 The primary system requirement was that the sound system would meet FIFA football standards, which require 92 percent direct coverage and high intelligibility, with a Speech Transmission Index (STI) of 0.50 or higher. The installed system exceeds those standards, delivering 95 percent coverage with an outstanding STI (Speech Transmission Index) rating of 0.80, indicating excellent speech clarity. Next to public address announcements, the system should also be used for voice alarm and evacuation purposes. Using EASE simulation software, the APCO team developed a design based on the Electro-Voice EVH-1152 loudspeaker system, a two-way 15-inch horn-loaded design available in six dispersion patterns. For the specific grandstand angles at Karbala Olympic Stadium, APCO used 24-each of 60×40-degree and 90×90-degree coverage patterns. Paired together, this combination provides direct, full-range coverage to all seating locations, including the difficult corner areas. 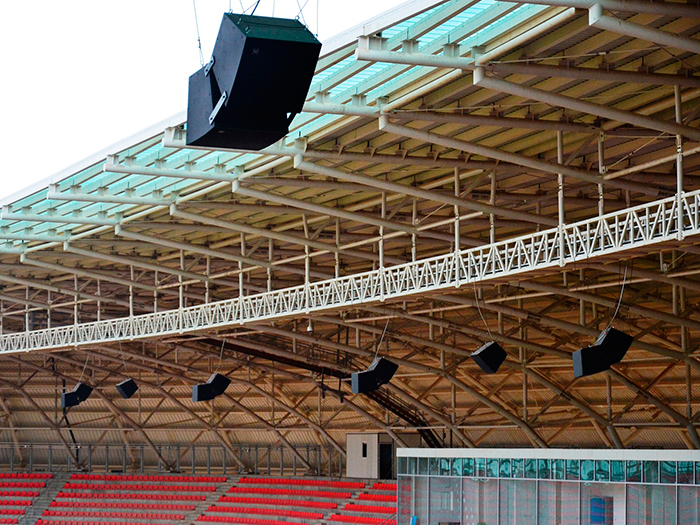 In addition, two EVH-1152 loudspeaker systems with 90×90-degree dispersion are deployed individually at either end of the field to deliver audio onto the playing surface as needed. The entire sound system is networked together using Electro-Voice N8000 Dante- enabled DSP matrix controllers and powered by Electro-Voice CPS series amplifiers with RCM-810 remote control modules. The N8000 from Electro-Voice provides complete system routing and control via graphical user interface in IRIS-Net software. The main loudspeaker system is divided into four zones, each with its own N8000 from Electro-Voice and either three or four amplifiers, with the east side zones requiring and extra amplifier to feed the field speakers. All amplifiers are connected to their associated N8000 via a gigabit Ethernet switch to handle signal routing, with redundant connectivity to ensure a reliable digital network. A fifth N8000 is stationed in the stadium’s main control room, and acts as the master unit for the entire system, routing the audio to each of the four individual zones. 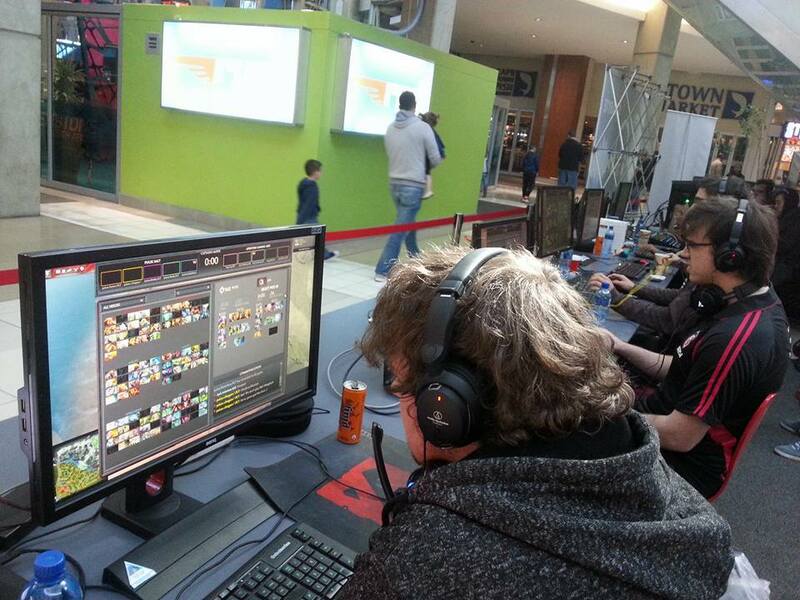 APCO programmed the signal processing core to handle all required audio sources, including microphones, PC-based streaming audio, emergency notifications and scoreboard audio. Karbala Olympic Stadium represents the largest Dante system that APCO Electronics has designed and installed. Thus, the feeling of accomplishment was strong when the APCO team finally heard the Iraq national anthem being played through the Electro-Voice system at the opening ceremonies. 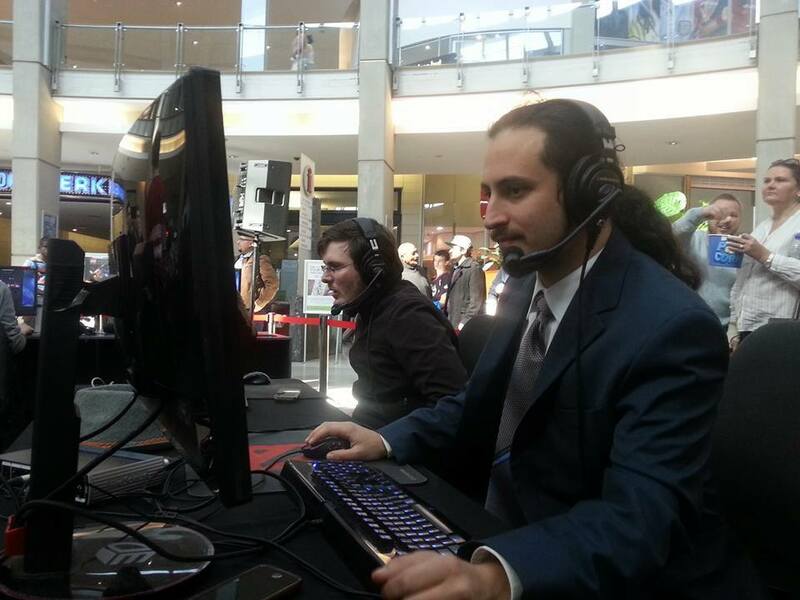 That feeling was reinforced shortly after the event when APCO received calls from the Minister of Youth and Sport, and from local broadcaster Ishtar Media, thanking them for the outstanding audio quality. 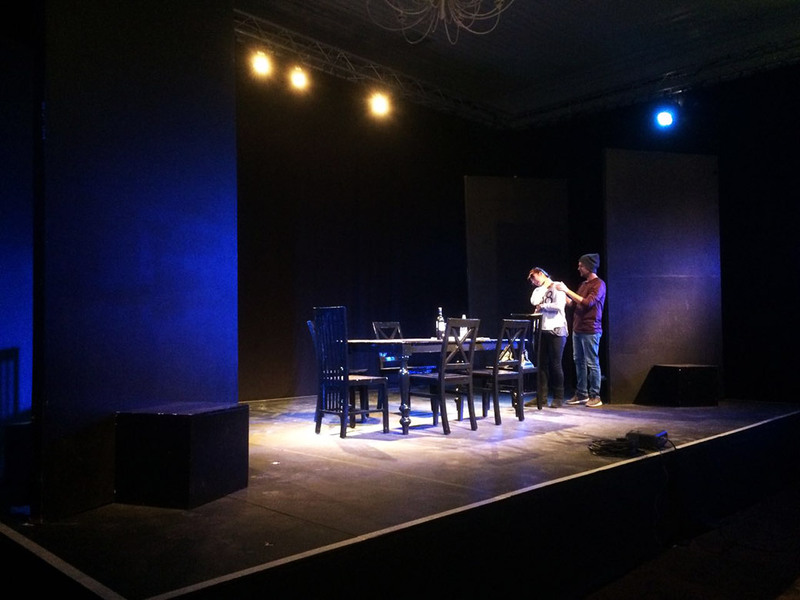 A heavenly lighting effect has been created for the current production of The Dying Screams of the Moon at Johannesburg’s Market Theatre. The unusual solution features a series of unique, handcrafted gobos, and ETC Source Four® LED lighting fixtures supplied by Prosound. 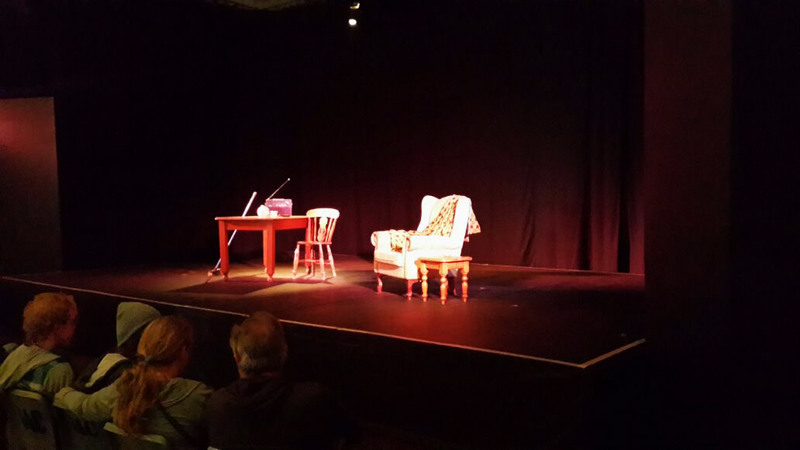 Forming part of the venue’s 40th anniversary celebrations, the play runs from 28 July to 21 August. 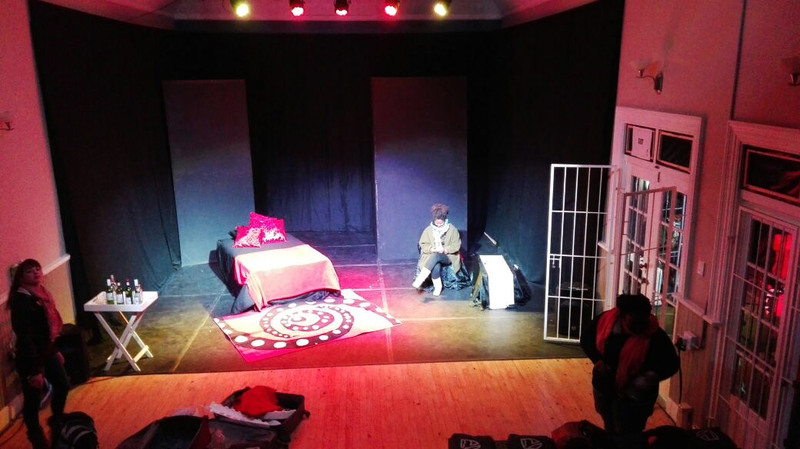 It marks the first time collaboration of theatre legends Zakes Mda and John Kani, and is set to become a part of theatre history. 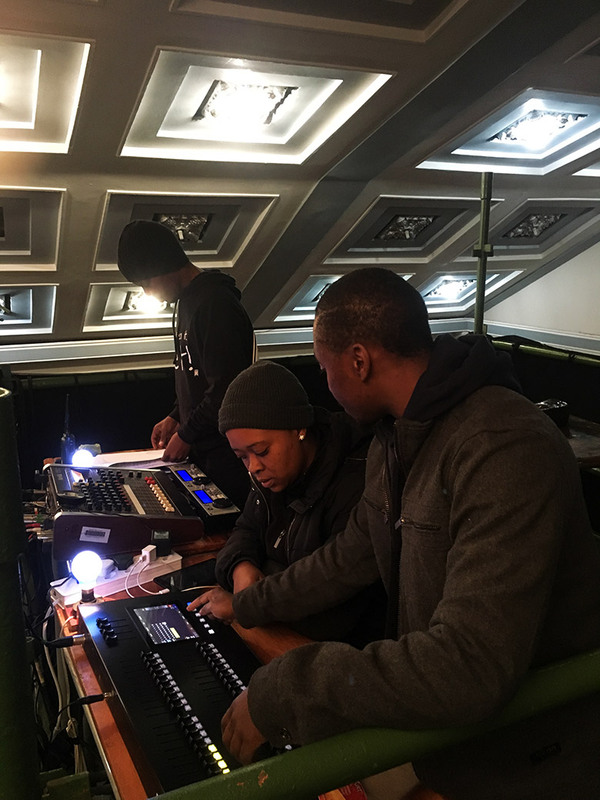 The play features an all-female crew and creative team, including award-winning specialists in lighting, costume, set design, production management and marketing. This celebration of women coming together is a memorable event that will appropriately play for much of South Africa’s Women’s Month. 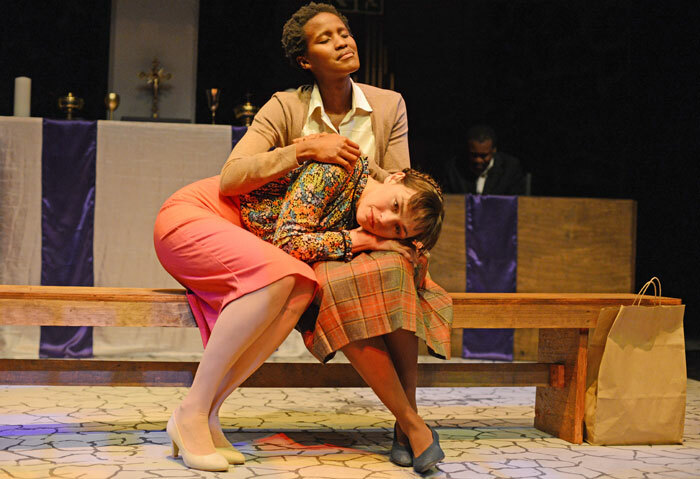 The Dying Screams of the Moon is about two women who meet at church, a place of solace, where they seek inner peace from their troubles of the past. 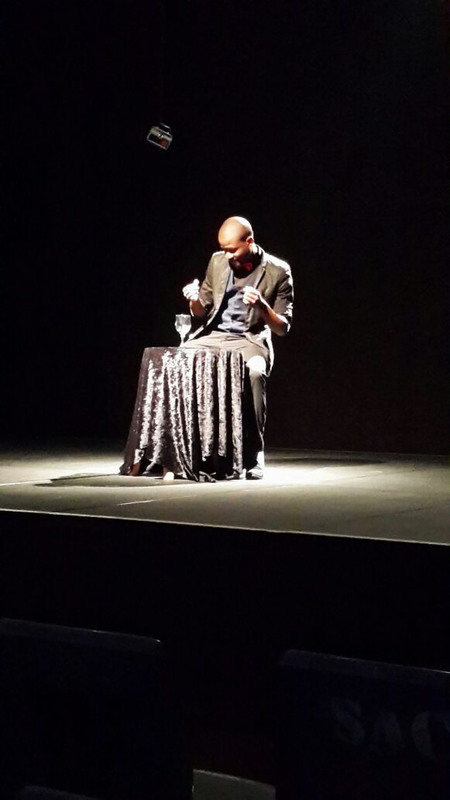 Set in post-apartheid South Africa, it reveals the struggles for land ownership that are still relevant today. 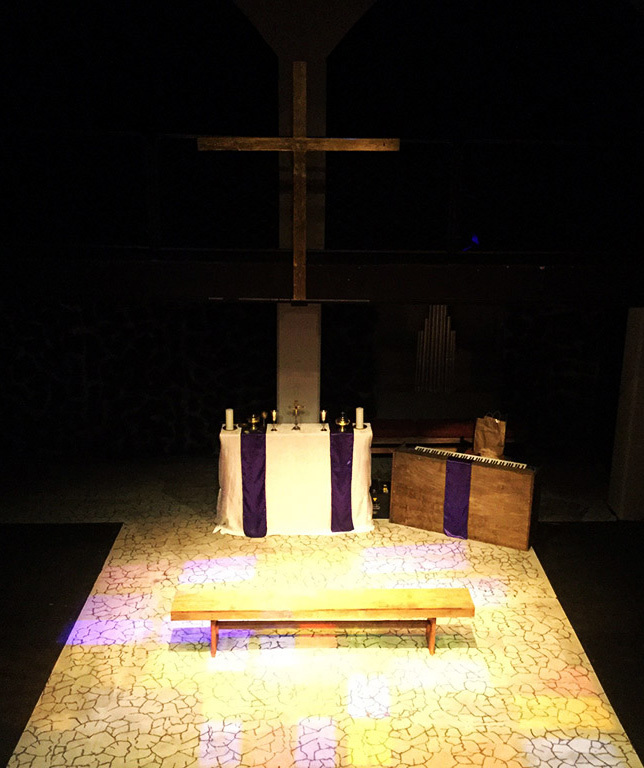 In order to create the majestic stained glass window effect, the church setting called for specific lighting. 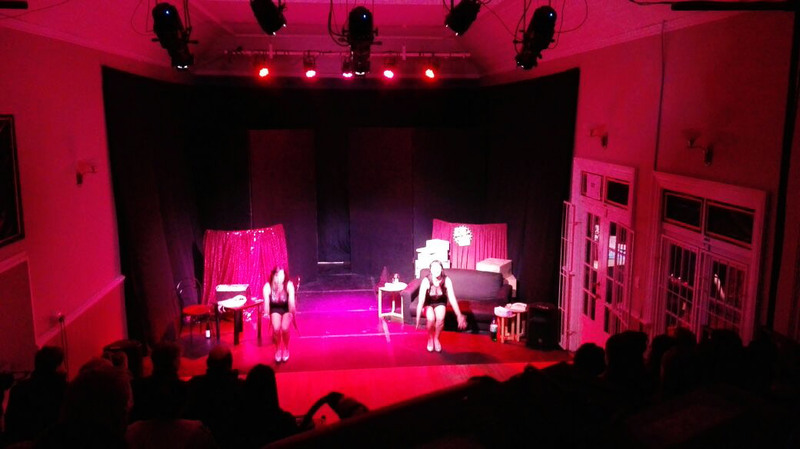 However, the restricted budget of the play meant that a glass gobo was not an option and it was necessary to devise an alternative solution. 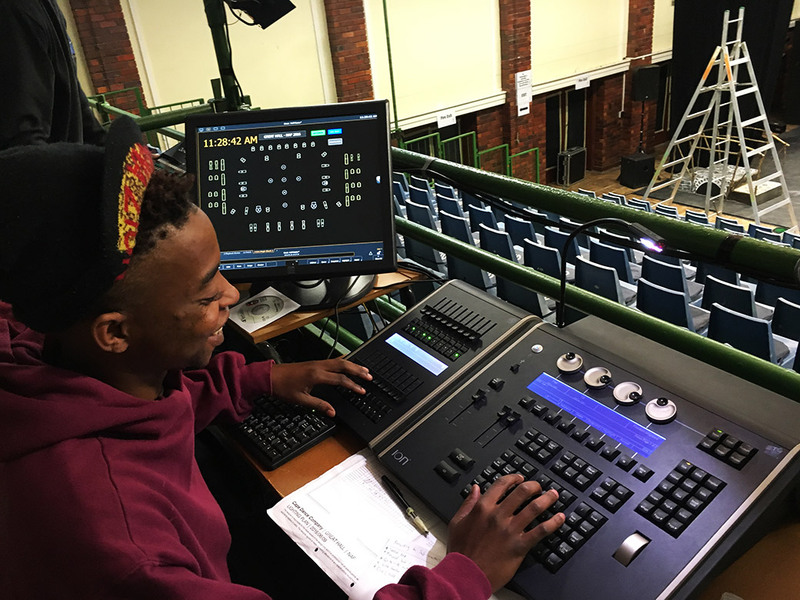 Nomvula Molepo, head of lighting at the Market Theatre, was keen to use ETC Source Four LED luminaires to help realise her vision, and contacted Prosound for assistance. 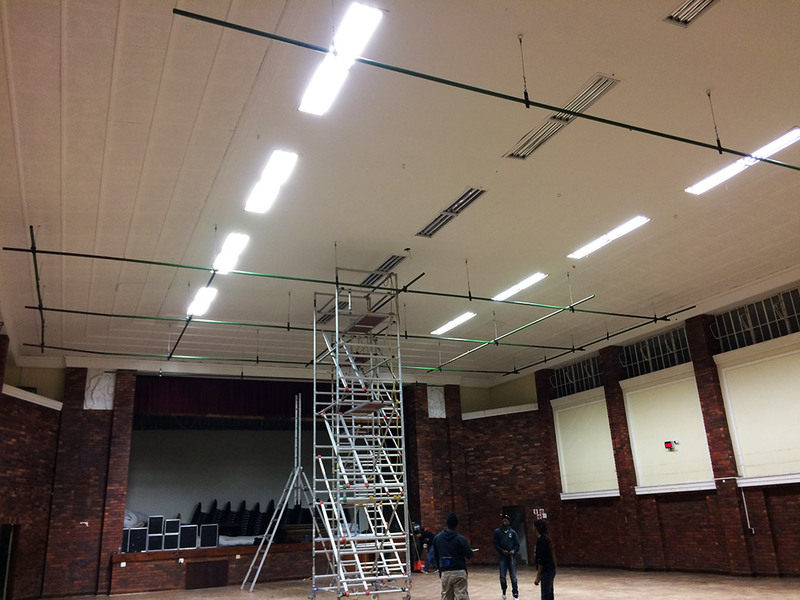 Ian Blair, Prosound’s GM of lighting and structures, offered to supply Nomvula with the fixtures. 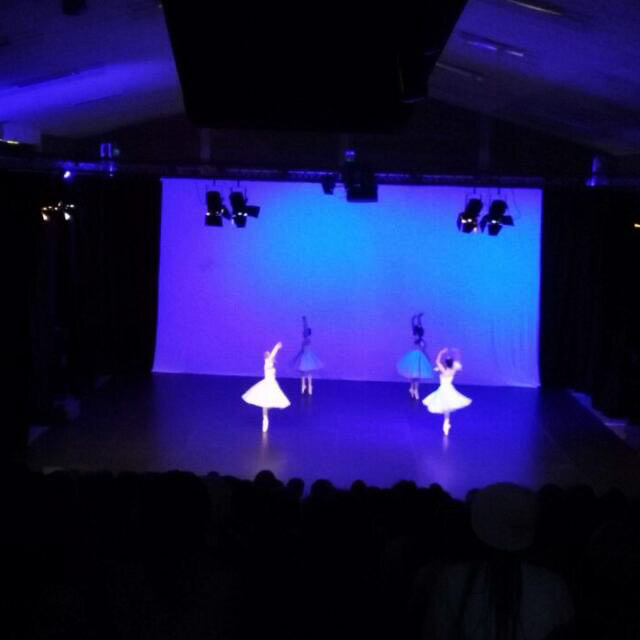 He also sent Prosound’s lighting specialists, Mac Makhobotloane and Jannie de Jager, to assist with creating the effect that was required. 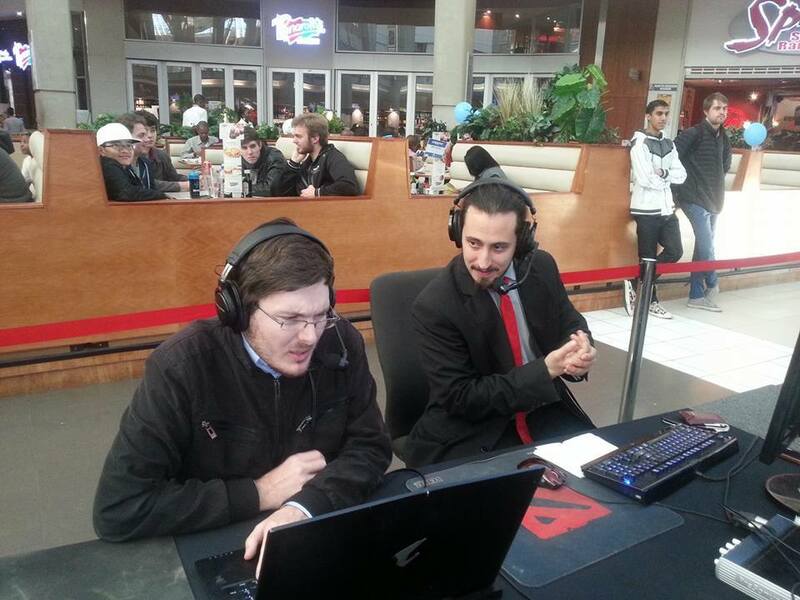 “The service was awesome! 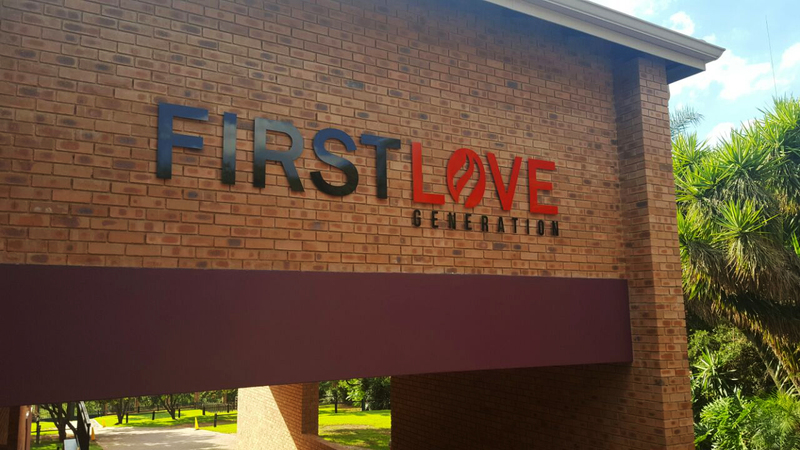 Mac and Jannie brought a variety of fixtures to experiment with in order to achieve the effect I was looking for,” said Nomvula. 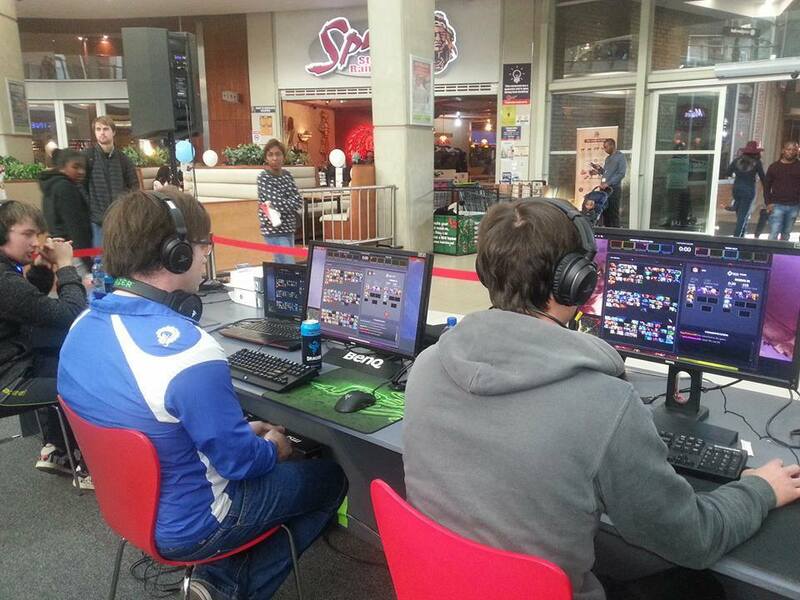 “We tested the fixtures to see if I could get the desired effect. Then, Mac suggested that I get steel gobos, cut small pieces of gels and paste them onto the gobos. 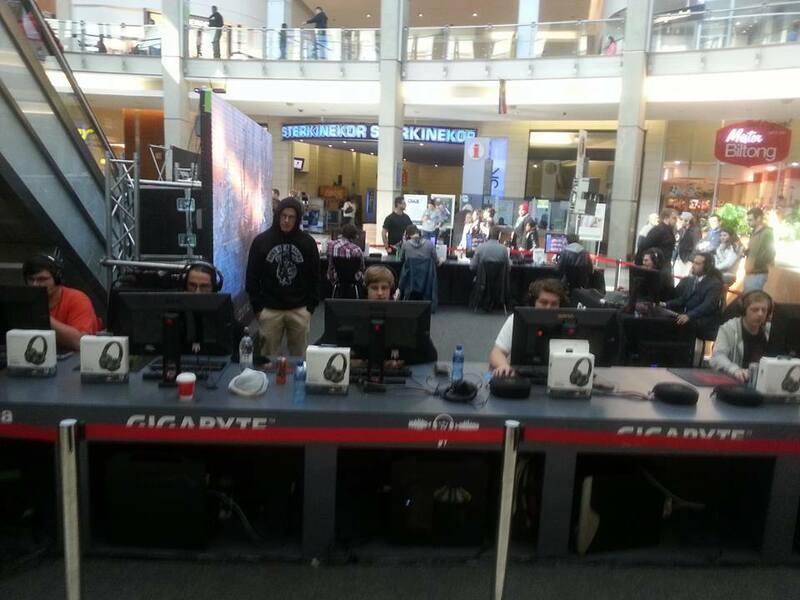 Mac and I tested one fixture and it worked like a dream! 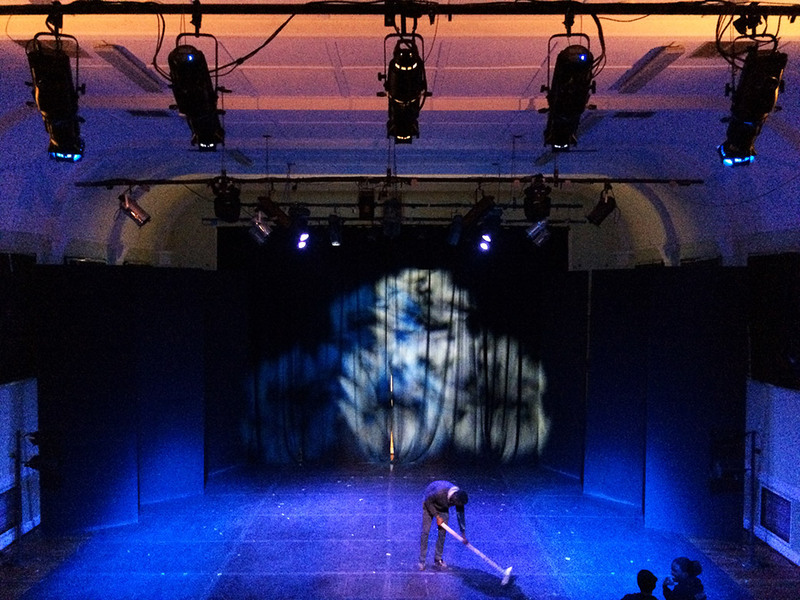 The ETC Source Four LED fixtures were not only able to capture the look Nomvula wished for, but they were also easy to operate. 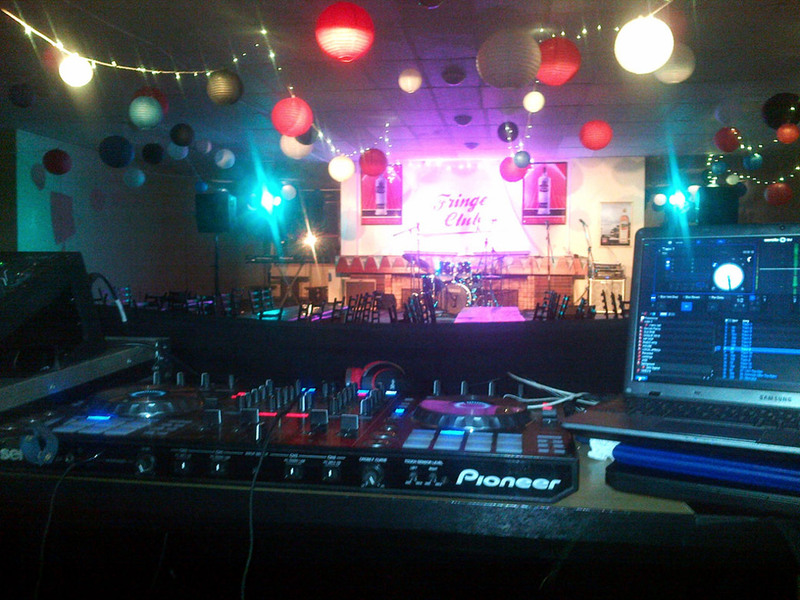 “I would definitely consider using the fixtures on future productions,” she said. Thanks to Prosound and ETC, the church scenes in The Dying Screams of the Moon are bathed with the magnificent and divine illumination of stained glass windows. Every August, the world’s largest arts festival, Edinburgh Festival Fringe, takes over Scotland’s capital. 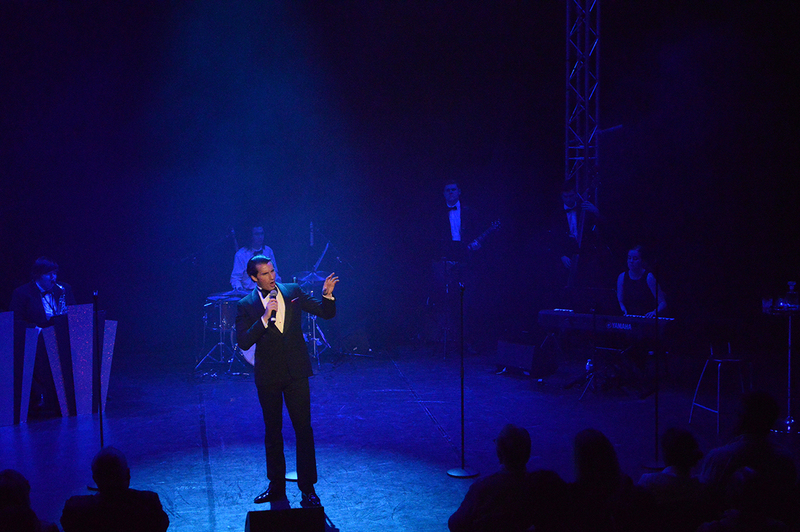 Thousands of performers take to hundreds of stages to present shows for every taste. 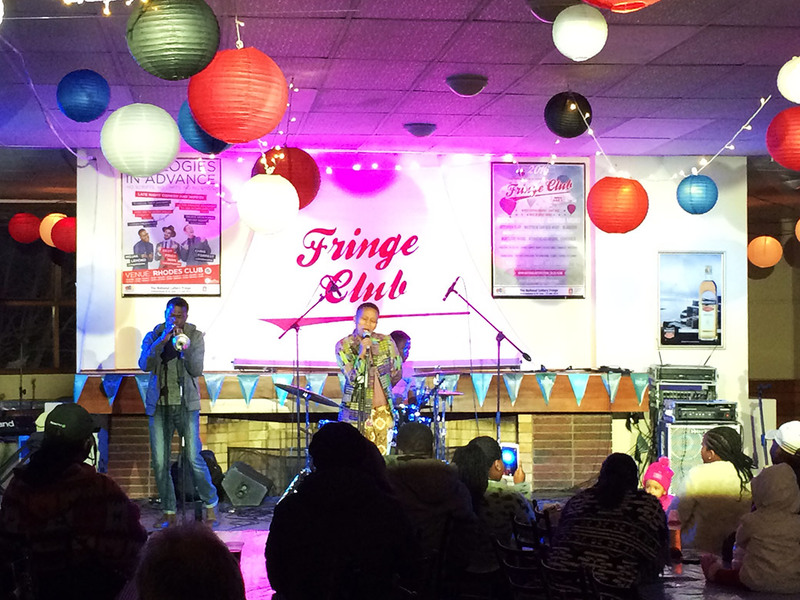 C venues is back for its 25th year, creating and curating more than 20 theatre, performance and exhibition spaces at pop-up venues in and around the city centre. 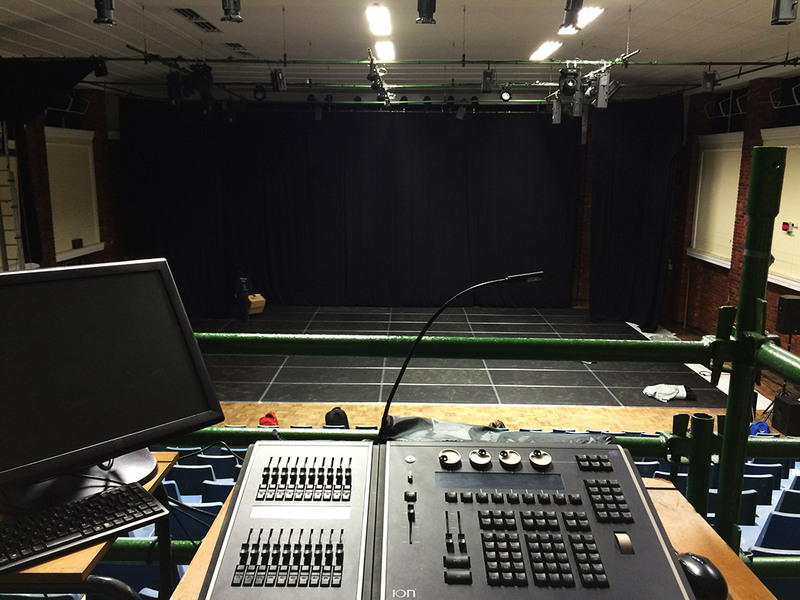 This year, C venues’ visiting designers and technicians are using some of the latest products from ETC for a vibrant and packed programme of theatre, circus, cabaret, musicals, dance, comedy and children’s shows. 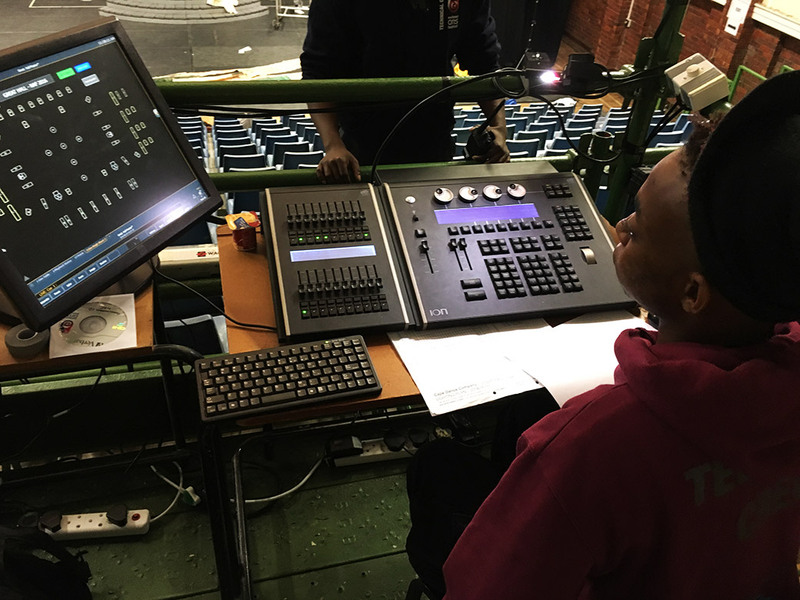 “ETC has been supporting C venues for a number of years, allowing us to improve the capability of our venues and exposing ETC products to young, up-and-coming theatre companies and technicians,” says Richard Williamson, head of production, C venues. 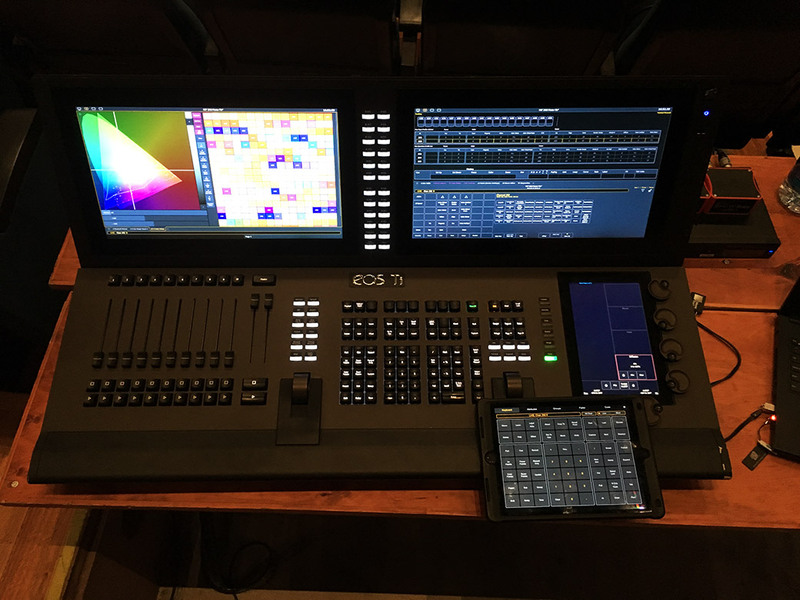 “ETC has a long reputation for producing well-built, reliable equipment and providing an exceptional level of technical support; and we are thrilled to be using the new ETC ColorSource consoles and lanterns. 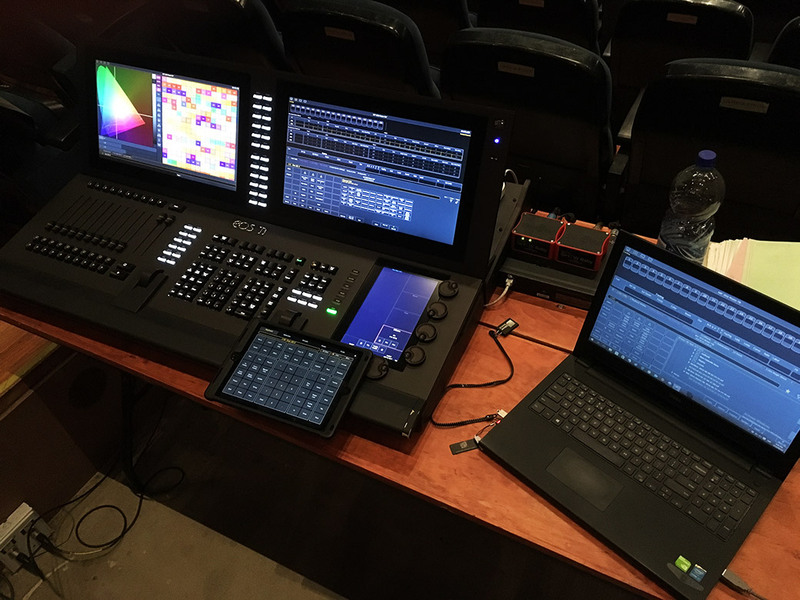 To equip the festival’s larger spaces, C has added to its existing stock of ETC Eos® family consoles, supplementing its Ion® desks with Ti and Element consoles. 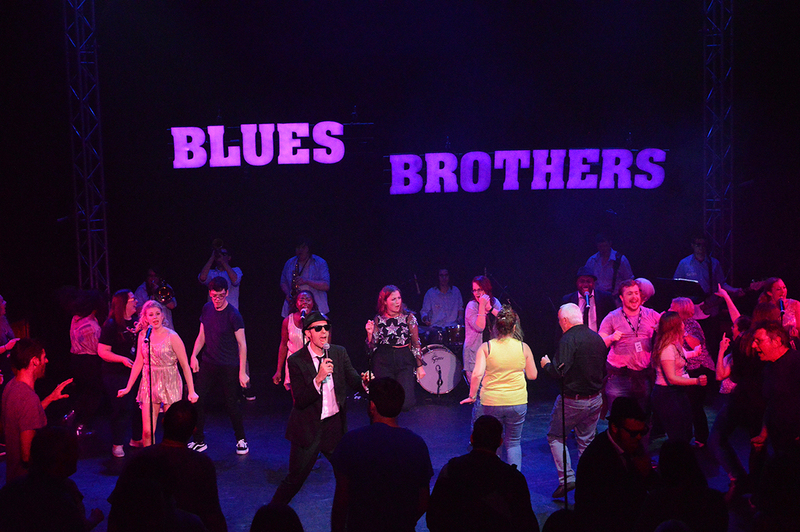 Notably, a Ti is situated in the largest theatre, C scala, controlling a number of high-profile shows including Tipping Point by Ockham’s Razor; Fringe favourites The Rat Pack Live; and the all-male a cappella group All The Kings Men. 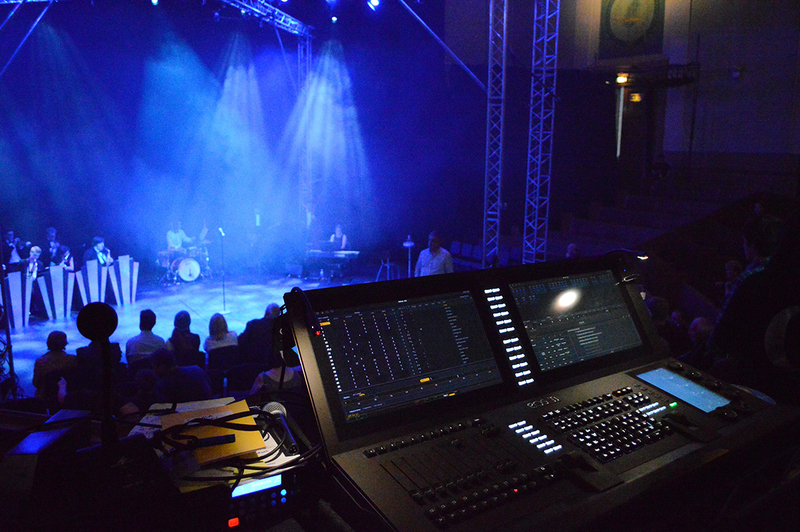 “The Eos range is the de facto industry standard console so we couldn’t imagine using anything else for our bigger venues,” says Williamson. 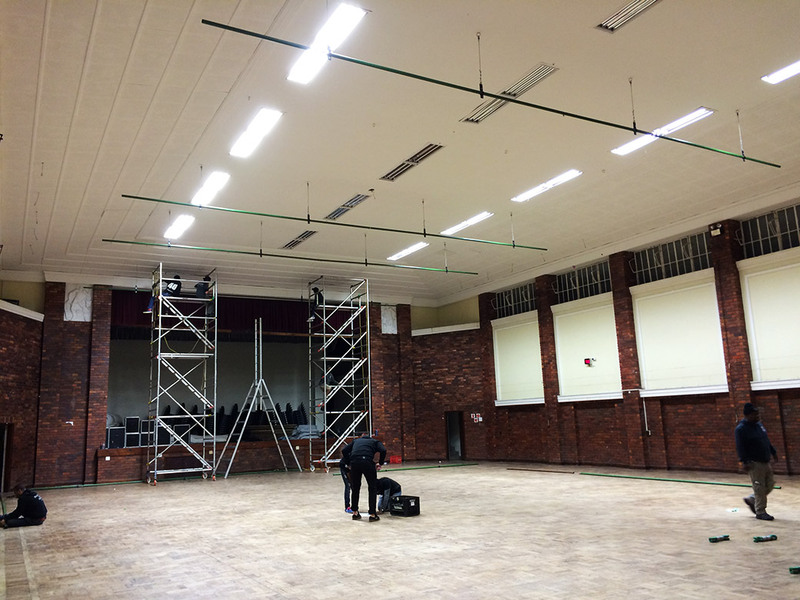 Additionally, the issue of heat generated by conventional tungsten fixtures has long been a challenge for C venues. For several years, the company has been looking to move its lighting rigs towards LED to help combat this. 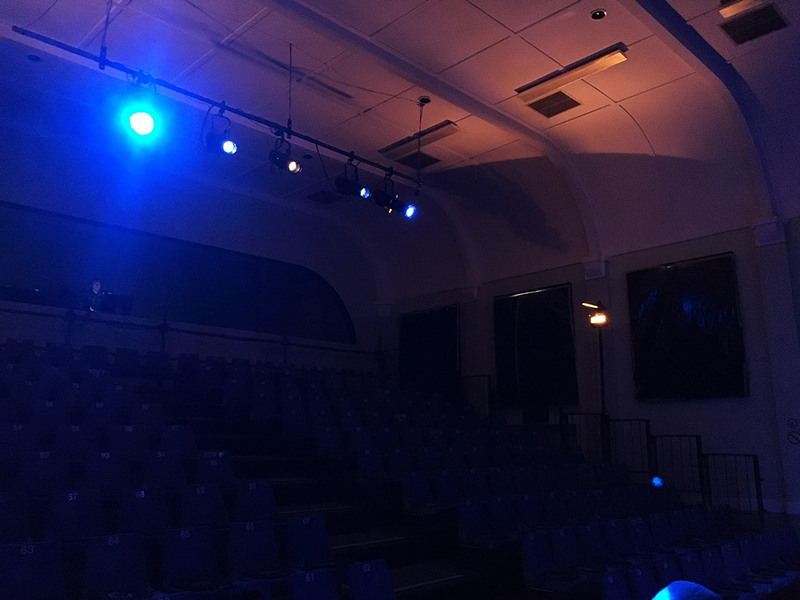 This year, several venues are benefitting from the installation of ETC ColorSource fixtures that – as well as their low heat output – are recognised for producing a richer, more natural light output than other LED fixtures at such an accessible price point. 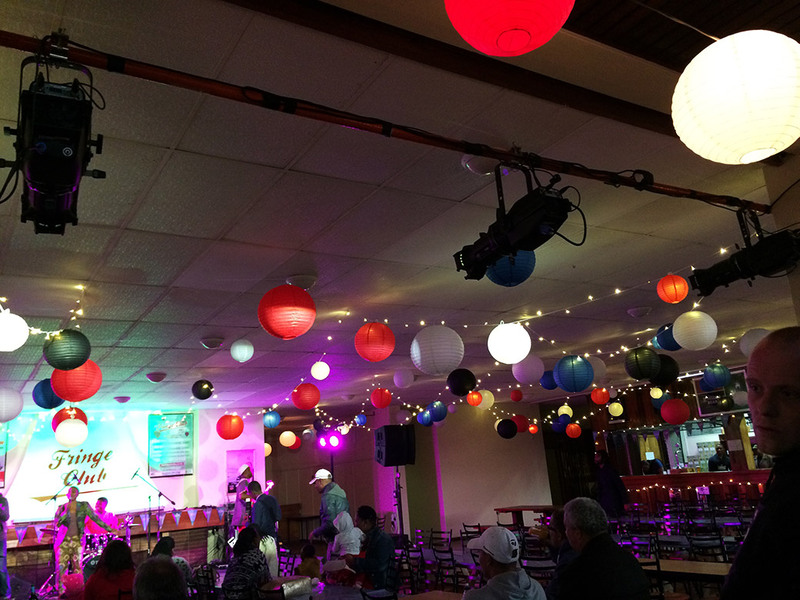 “While LED units have been on the market, we have struggled to find any that properly give the level of control and colour rendering that tungsten offers. 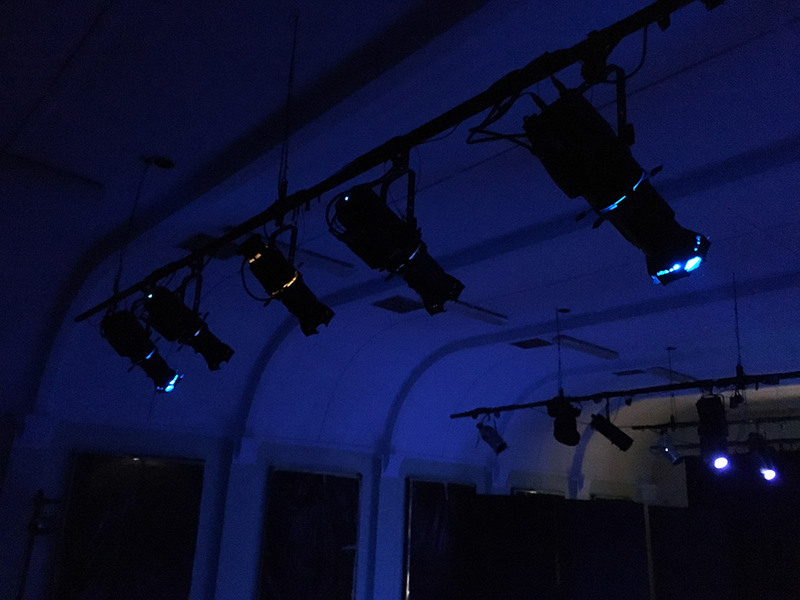 The new ColorSource LED fixtures are perfect for our needs and, used alongside ColorSource consoles, we are now able to look to significantly expand our use of LED,” says Williamson. To learn more about ETC products and services, visit www.etcconnect.com. Every two years in Madison, Wisconsin, ETC hosts Workshop, an educational event used to train and share new information with industry dealers, reps, and distributors. 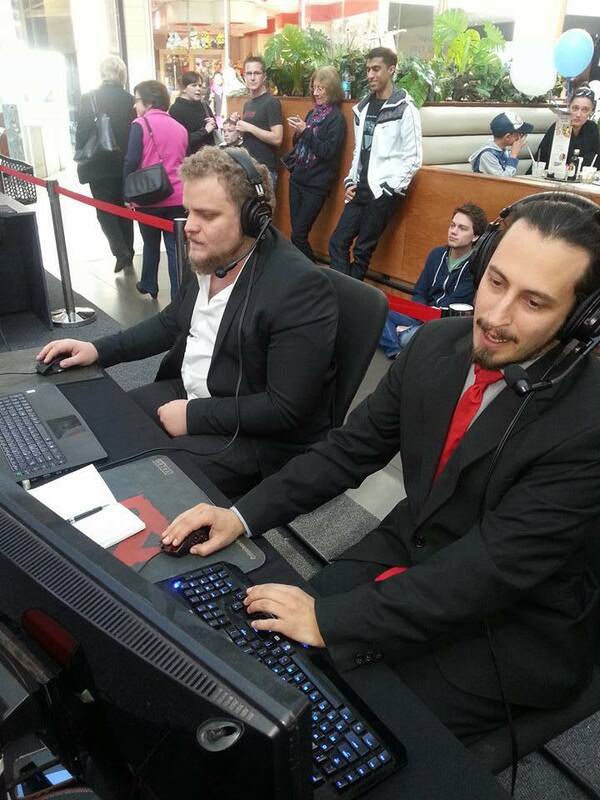 This summer, for the first time, the event was opened internationally. The week-long event started July 12th, and brought 313 dealers, reps, and distributors from 34 countries to the ETC headquarters. “Workshop is ETC’s best opportunity to bring our sales family together. This was definitely ETC’s most successful Workshop ever,” says Patti Tuttrup, ETC marketing events specialist. A day of international sales meetings and tours of ETC’s Wisconsin-based manufacturing facilities in Middleton and Mazomanie kicked off the event. For many of the international Workshop attendees, this was the first time they had seen the ETC factories in person. They were able to see where the products they sell come from and meet the people who make them. On Wednesday, July 13th, Fred Foster, ETC CEO, took to the stage with his keynote address, Reflections on 40 Years of ETC. 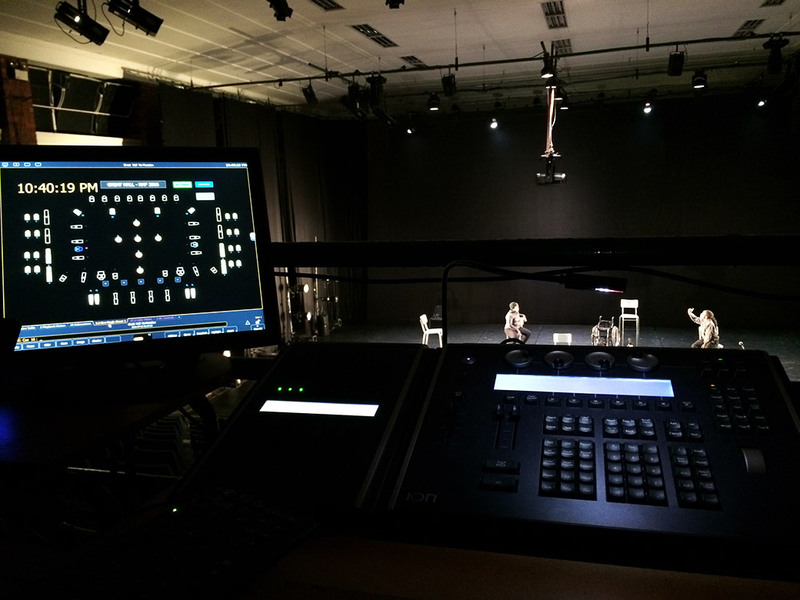 His stories began in 1975, with the birth of the company and the creation of the first ETC lighting console. He quickly moved through 40 years of ETC memories, touching on noteworthy installations and company milestones, always crediting the large family of ETC dealers, reps, distributors, and employees for the company’s continued success. That evening, attendees were treated to a picnic at ETC’s headquarters that featured local food carts, Wisconsin beer, and some friendly competition as attendees took part in Tech Games that included assembling a Source Four® fixture, hanging and focusing a fixture, and laying out keycaps on an Ion® console. The next Workshop for ETC’s reps, dealers, and distributors will be in 2018. 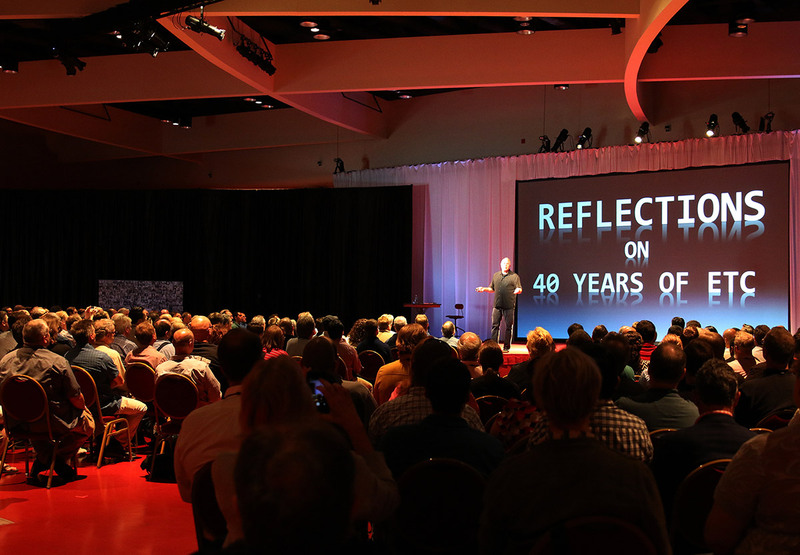 Next summer, ETC will bring back its popular CUE professional-development conference, welcoming end users from around the world to Madison for a one-of-a-kind experience. 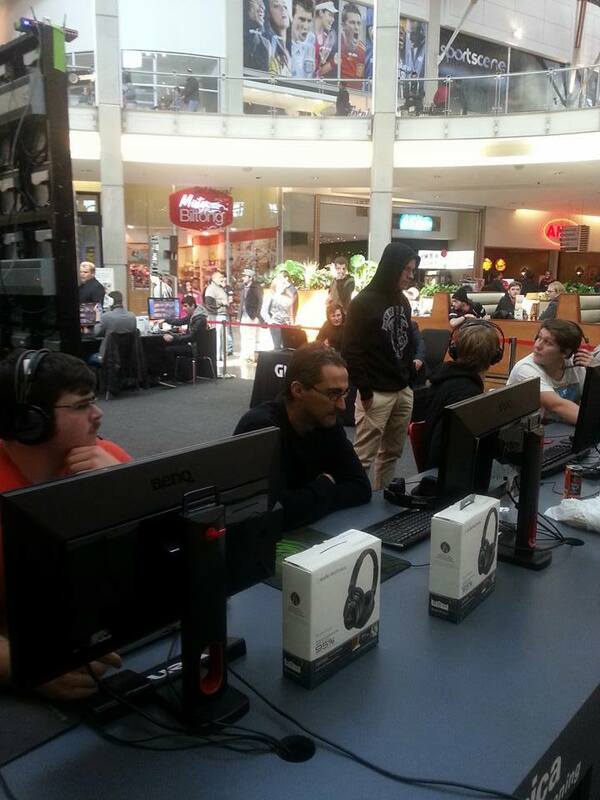 Dates for CUE will be announced soon. Visit www.etcconnect.com for details. 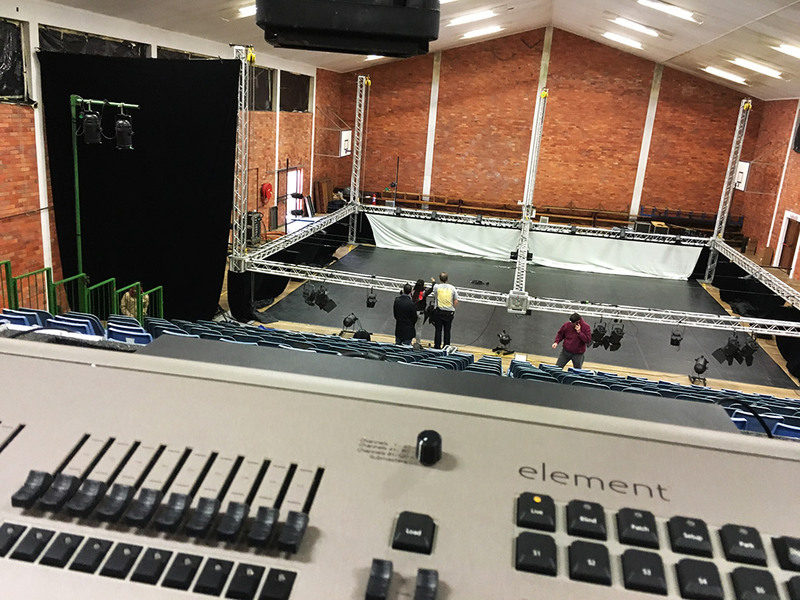 The National Arts Festival (NAF) in Grahamstown was the first festival in the world to call on ETC’s ColorSource consoles. 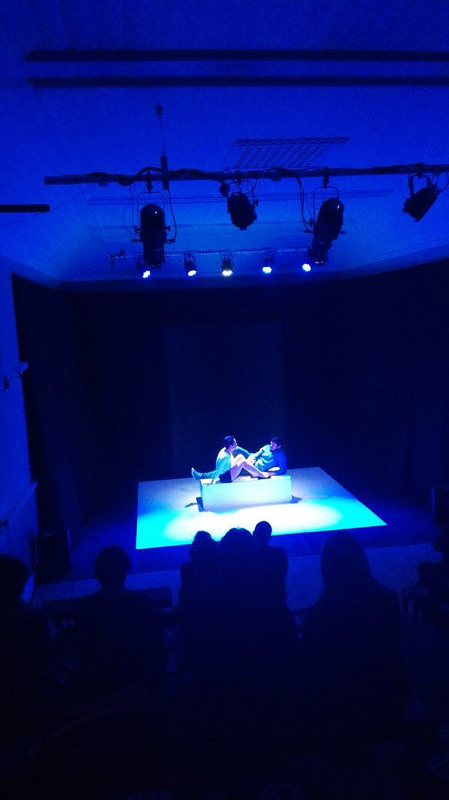 In addition to this, NAF put to use an extensive line up of lighting gear from the manufacturer across 16 venues. 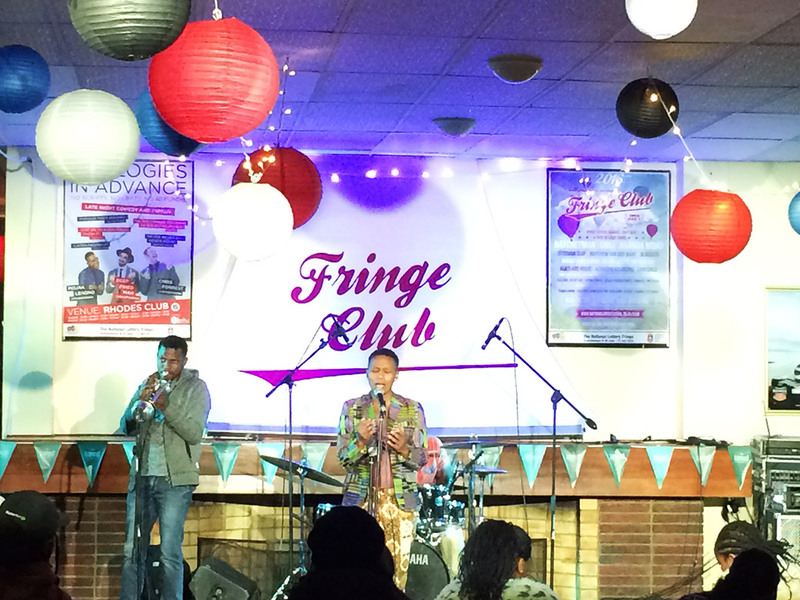 The 11-day festival which takes place at various venues across the city is described as the biggest celebration of the arts in Africa. 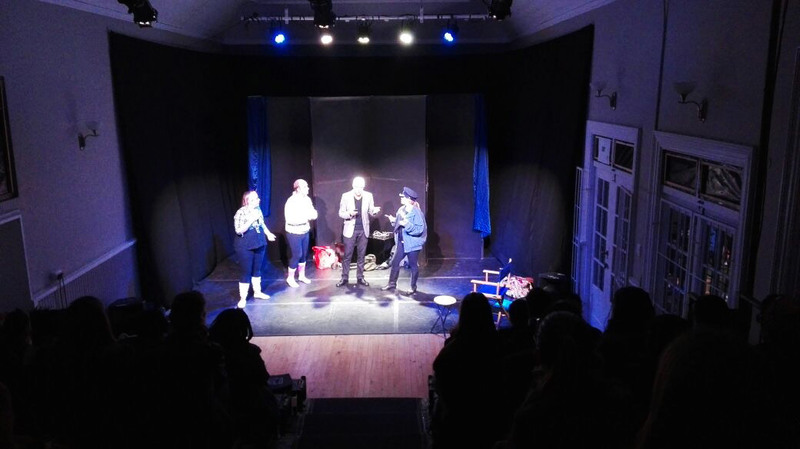 Its main and fringe programmes comprise drama, dance, physical theatre, comedy, opera, music, jazz, visual art exhibitions, film, student theatre, street theatre, lectures, craft fairs, workshops, tours and a childrens arts festival. 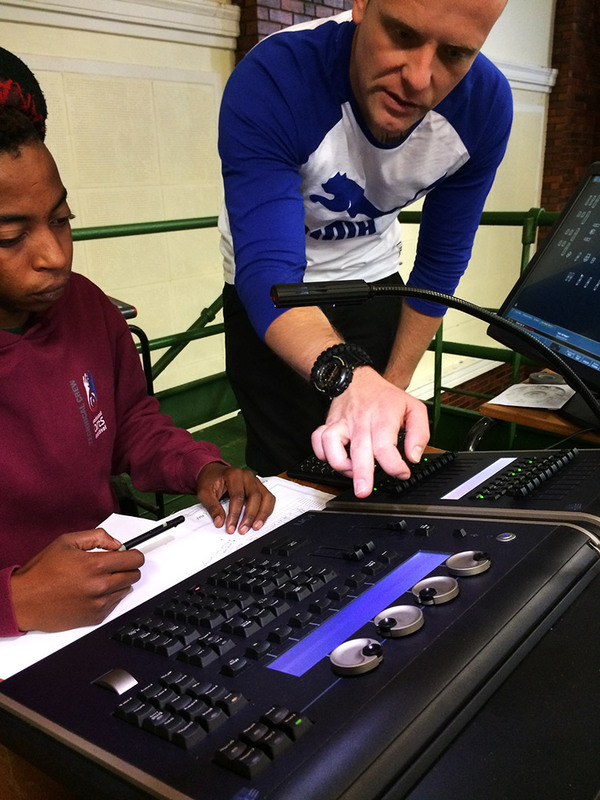 ‘NAF is a fantastic meeting of technicians from across the continent, it is an honour for ETC to support these talented people with consoles and LED fixtures that will enhance their art and give them a look at the latest equipment available for making theatre,’ said Jeremy Roberts from ETC. 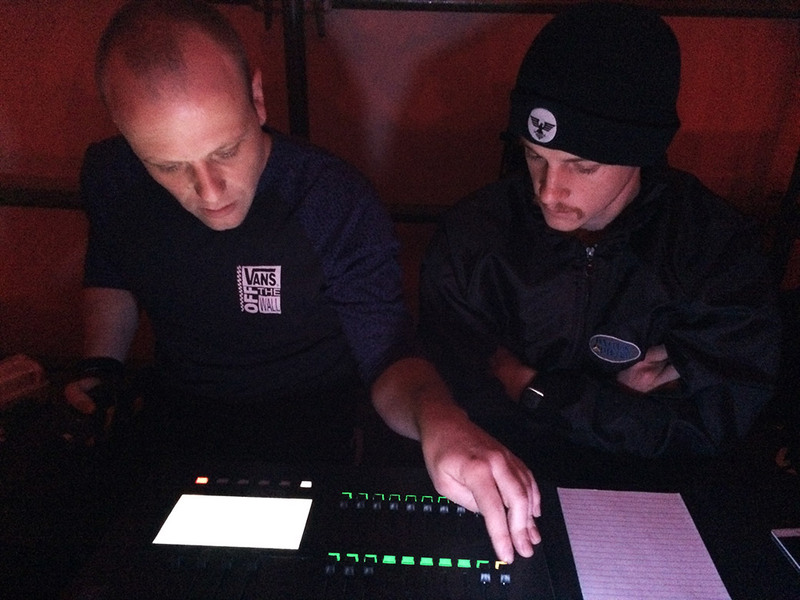 Of the 16 venues to feature ETC equipment, 14 of them have opted for one of the manufacturer’s lighting desks. 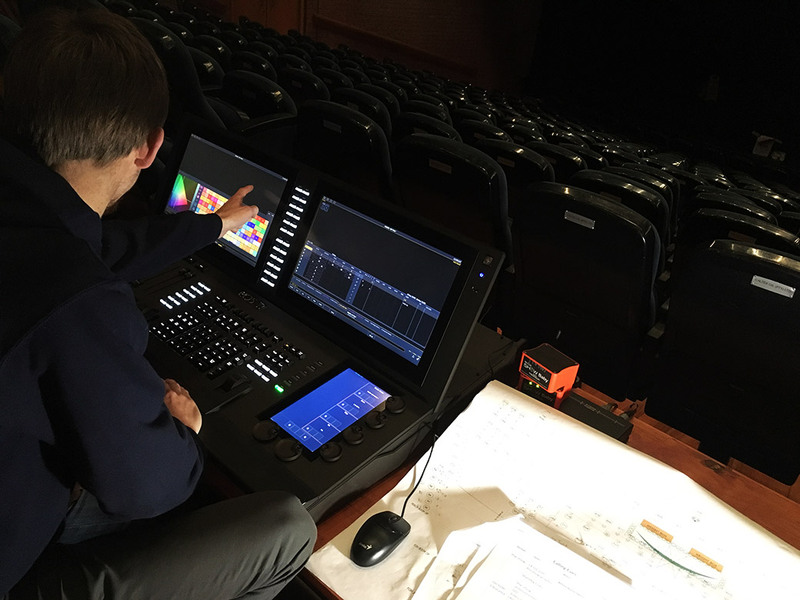 ColorSource, Element, Eos Ti, Gio and Ion consoles are all in use, with the Eos Ti covering the main theatre. 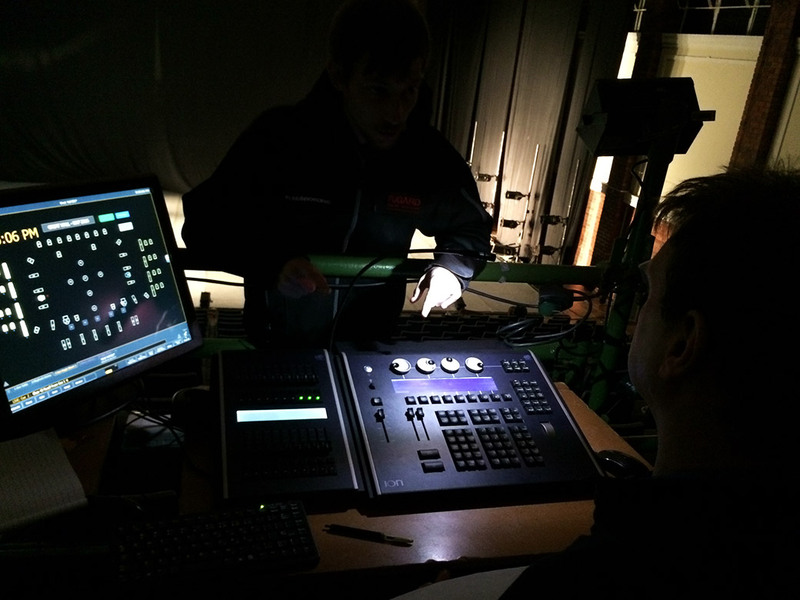 Away from consoles, ETC ColorSource Spot and PAR fixtures have also been called into action. 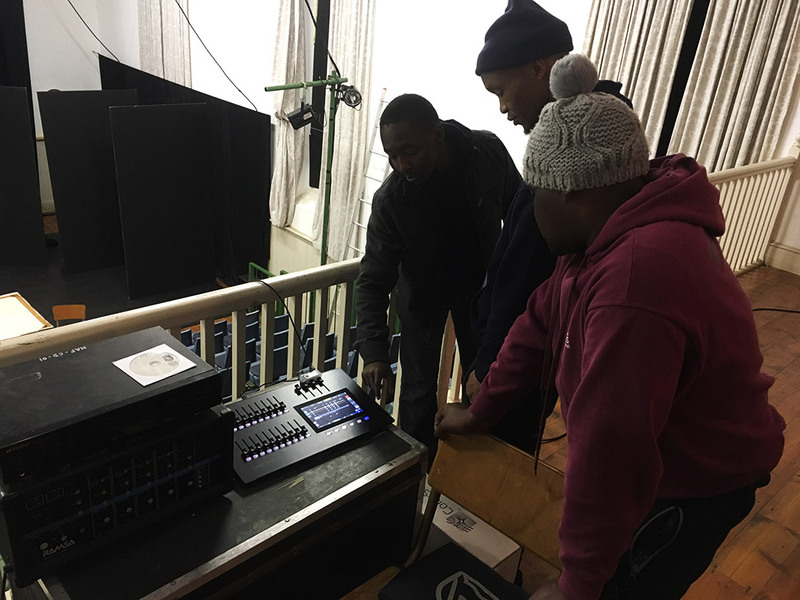 Also present were Jannie de Jager and Mac Makhobotloane from Prosound, supporting all the other consoles and LED fixtures that were provided to the relevant venues. 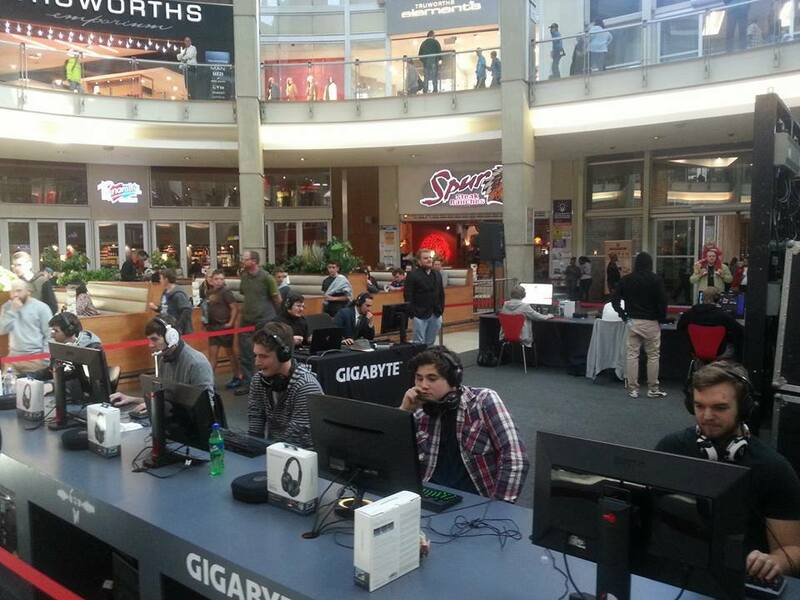 Audio-Technica partnered with nAvTV as a title sponsor of the Gigabyte Dota 2 Challenge at Greenstone Mall in June 2016, the 3rd such event hosted in Gauteng’s biggest shopping malls. 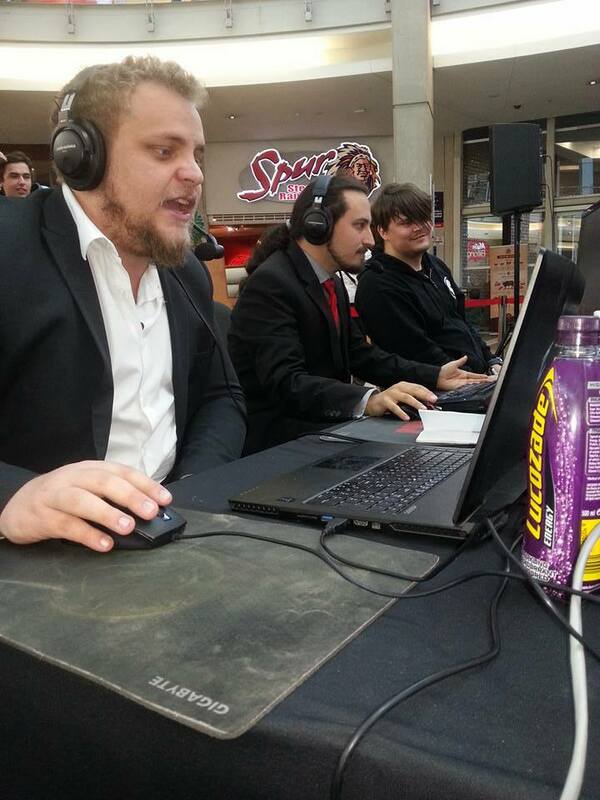 South Africa’s top Dota 2 teams battled it out for a place in the finals at Cradlestone and for a share of the R150 000 prize pool. Journalists from 100 dedicated special interest magazines from around the world were asked to cast their vote. Frankfurt am Main/Straubing, April 2016 Every spring, Frankfurt becomes the center of the professional audio and musical instrument industries for almost a week. This year the Prolight + Sound and Musikmesse trade shows together attracted almost 110,000 visitors from around 130 countries. 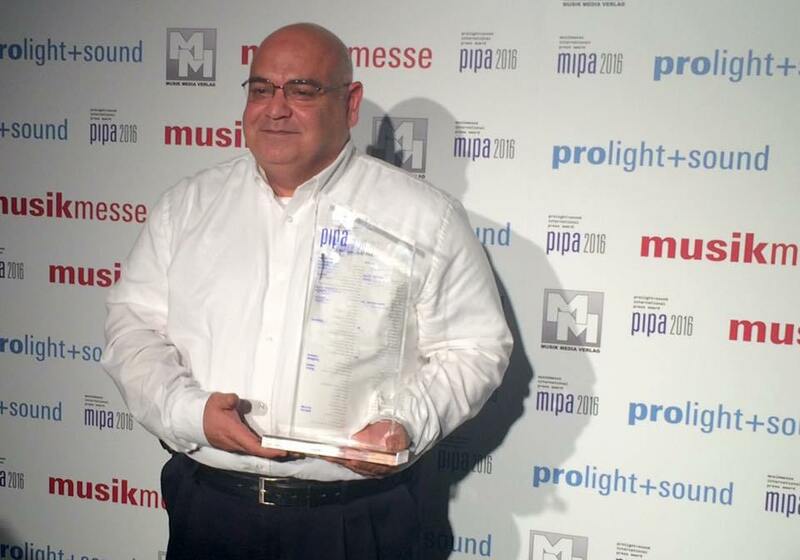 One of the highlights for the attending companies is the annual Prolight + Sound International Press Awards (PIPA), an event that has established itself as the Grammys of the pro audio and musical instrument industries. More than 100 dedicated special interest magazines from all over the world voted for the best pro audio equipment and musical instruments of 2015/2016 in 38 categories. 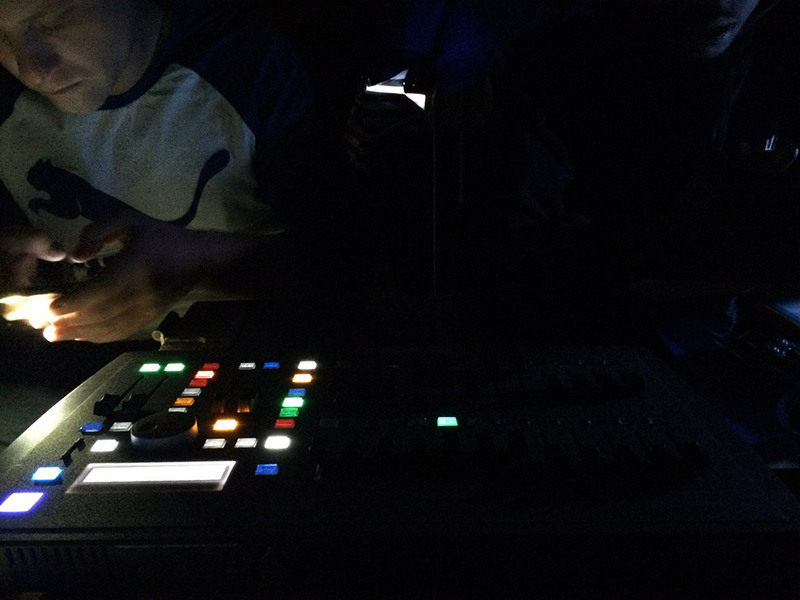 The official awards ceremony took place on April 7 at the Prolight + Sound show. This year, Electro-Voice received a PIPA award for the second time in a row: the X-Line Advance compact vertical line array loudspeaker system convinced the jury in the concert sound category. 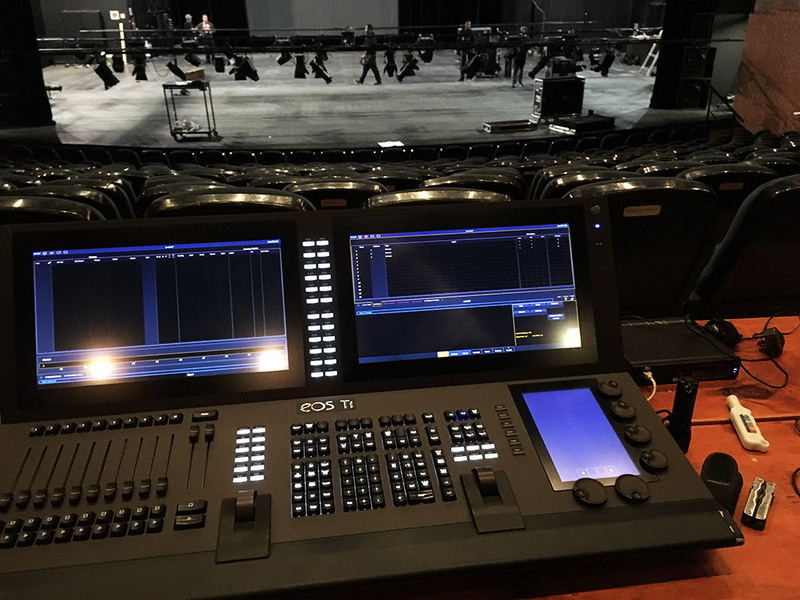 Introduced in spring 2015, X-Line Advance is gaining industry notice for providing a uniquely satisfying combination of precise, linear output, a best-in-class performance-to-size ratio and a user-friendly rigging system. Last year, EKX series loudspeakers from Electro-Voice prevailed over the competition in the portable sound category. The result of rigorous research and development, the new X-Line Advance family of line array loudspeakers from Electro-Voice represents a dynamic step forward in line-array loudspeaker system design, offering a range of new features and advanced audio technologies that work together to surpass the performance of other line arrays available today– and all in a significantly more compact cabinet. The X-Line Advance line array is developed for the most demanding applications, including large houses of worship, concert and event/tour sound, sports venues, and theaters/ performing arts centers. Though it is approximately a third smaller in size than systems typically used in these environments, X-Line Advance designed to deliver outstanding audio performance, superior full-bandwidth coverage, and higher output — meaning fewer units are required to achieve desired results — while also making system design, transit, and setup/teardown more efficient and cost-effective.